At Paris Unlocked, we tend to focus coverage on lesser-known corners of the French capital, and encourage readers to look well beyond the obvious and the wildly popular. But when you’re visiting Paris for the first-time, getting to know the city will also mean hitting more iconic sites and monuments— from the Louvre to the Latin Quarter. These places are worth a much closer look than many tourists take the time for. Reach past their postcard-perfect facades to discover enchanting details and nearly forgotten histories. 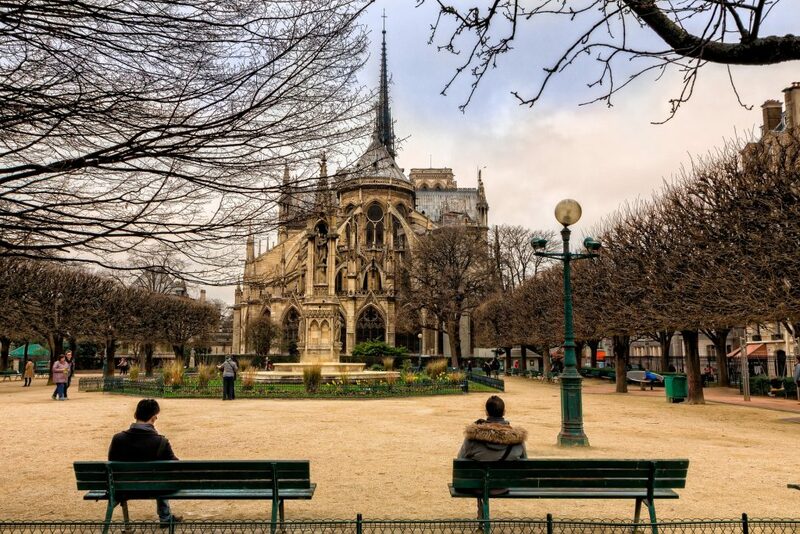 Especially if you only have a few days to get to know Paris during your debut trip, you may want to beeline to at least a few legendary sites while also reserving adequate time to explore quirkier, quieter places. 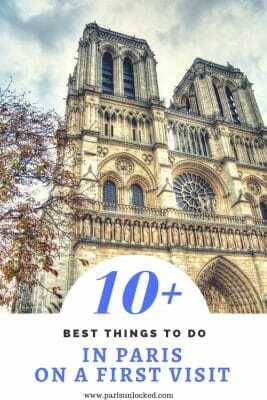 Without further ado, here’s my take on the 10 best things to do in Paris on a first visit. For each suggested place or activity that made the cut, I focus on details that will enhance your appreciation, allowing you to see the city’s most-familiar sites in a light not often shed by your average top-10 list. Browse the table of contents below to navigate through the guide and explore the sights and attractions that interest you the most. Even the most well-trodden places reserve secrets for those willing to really look– whether you’re a first-timer or an old pro. So go forth and uncover some of them! Planning to Visit the Louvre? Hankering to Explore This Area? Care for Lunch or Dinner at the Eiffel? The Louvre is endlessly rich and fascinating, yet many only scratch the surface. 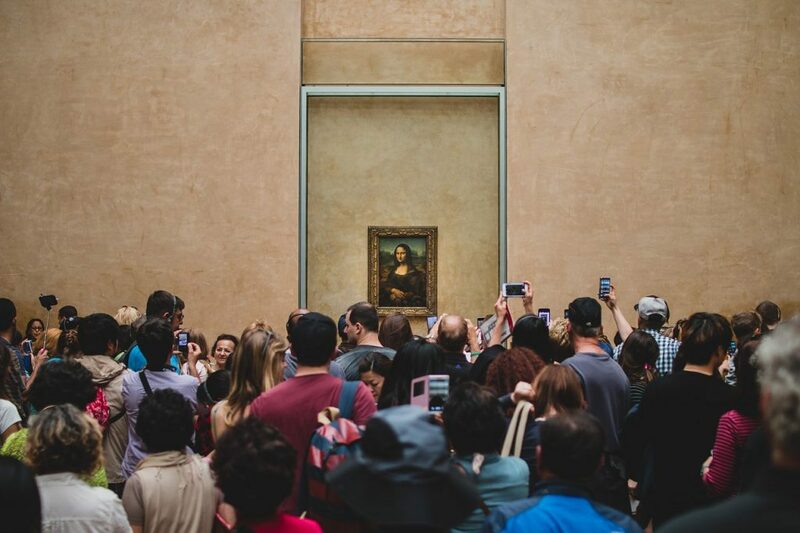 There’s a very good reason an astounding eight million people thronged on the Louvre in 2017. 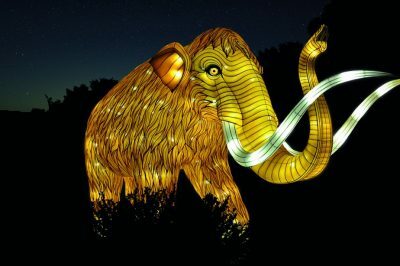 It’s less of a museum than it is an artistic and cultural mammoth. Boasting the world’s largest collection of art– comprising some 38,000 objects and oeuvres dating from antiquity to the mid-nineteenth century– the Musée du Louvre is housed in the former royal Palace of the same name, once home to the monarchs of France. For this reason, it’s essential not only for its mind-boggling collections, but also for the historical interest of the site itself. Keep reading for my tips on navigating the dizzying galleries, and how to tap into centuries of Parisian history during your visit. Just a short word of warning, though: do yourself a favor, and don’t try to conquer the entire place in a single visit. You really need a good strategy to avoid burning out at the Louvre, particularly on a first visit. The one mistake I see a lot of tourists make when it comes to tackling the world’s most-visited museum? Focusing too much energy on works like the Mona Lisa and the Venus de Milo. These masterpieces are certainly worth seeing, obviously, but the enormous crowds and the heavy glass protecting them can result in a sense of “underwhelm” and even disappointment. Feel free to beeline to them and then move on, focusing most of your time and attention on other rooms and collections that pique your interest. The paintings curatorial department harbors some 7,500 works from Italian, French and European masters, including Michelangelo, Da Vinci, Raphael Caravaggio, Vermeer, Delacroix, Ingrès, Caspar David Friedrich, Titian, Fragonard, Jacques-Louis David and countless others. While many visitors limit their time to the paintings department, the Louvre’s other wings are also rare treasuries worth spending some time exploring, if you have it. The Egyptian Antiquities department almost rivals the Metropolitan Museum in New York with its own masterpieces. 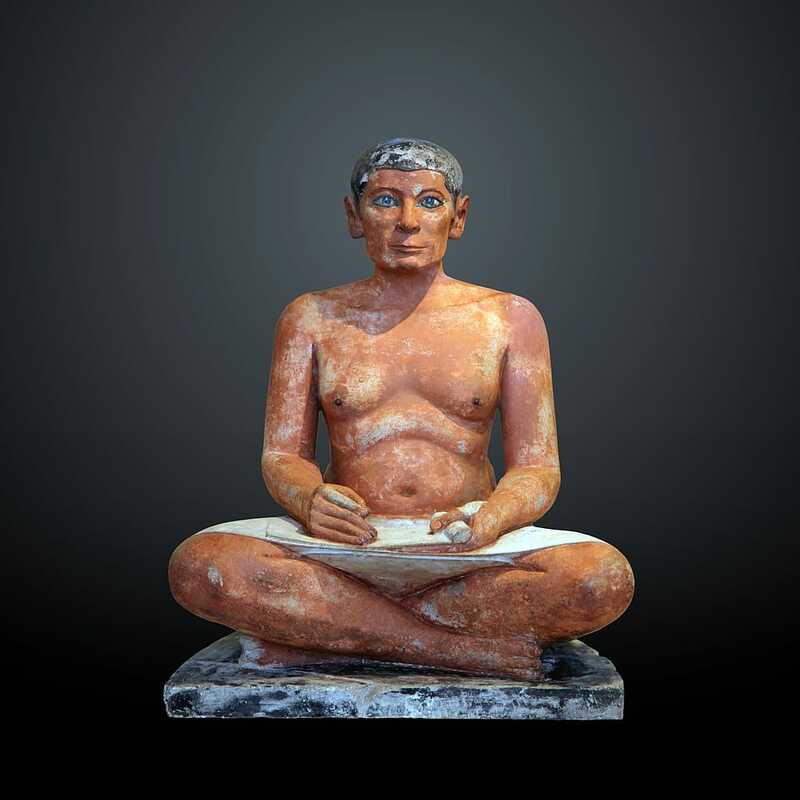 These include “The Seated Scribe” (pictured below), an enormous sphinx, numerous mummies, sarcophagi and scrolls, as well as objects from daily life. 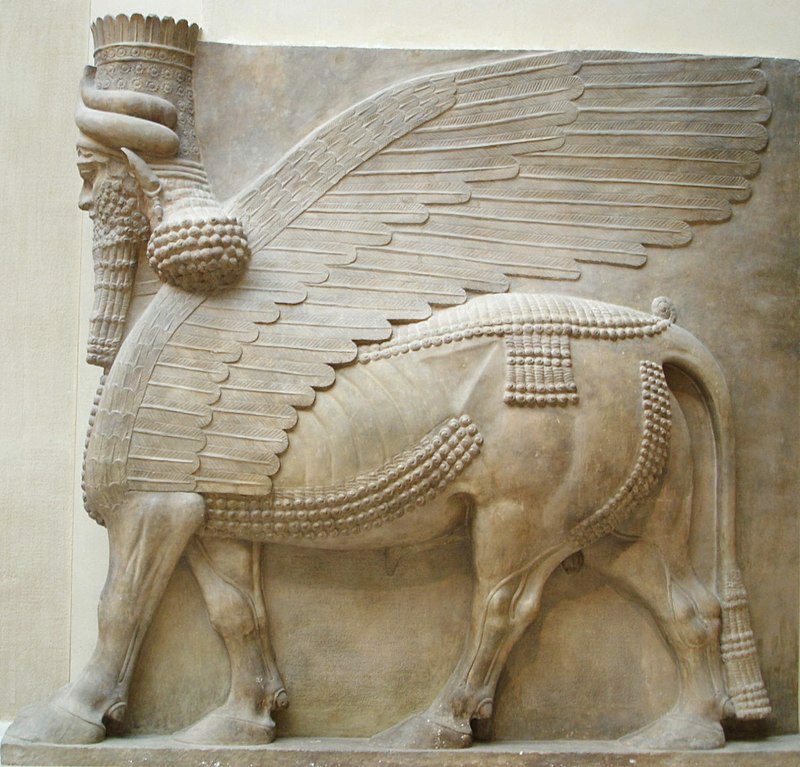 Meanwhile, the Near Eastern Antiquities and Islamic art departments are full of their own wonders, housing thousands of sculptures and decorative pieces from the Near and Middle East. The Babylonian Code of Hammurabi, an imposing stele displaying the ancient civilization’s laws, is one of the many highlights here. Also make sure to visit the medieval foundations of the Louvre, which offer fascinating insight into the vast fortified walls that once surrounded the palace (and marked the boundaries of the city at the time). 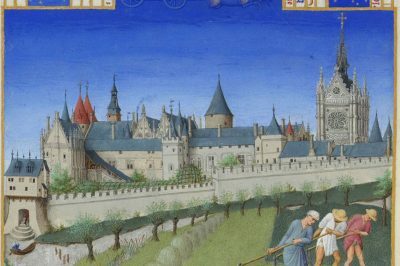 Whether you’re deeply interested in medieval Paris or are a curious novice, it’s well worth spending some time in this frequently overlooked department at the museum. 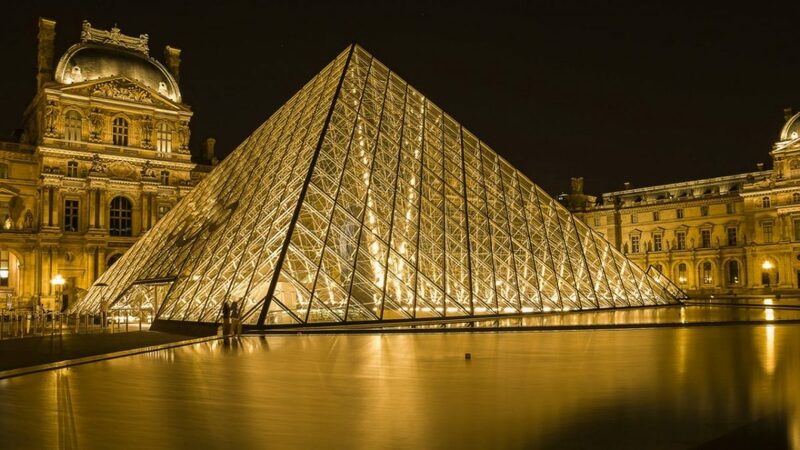 You’ll learn about the Louvre’s royal history up to the French Revolution, when it was seized by the state and (eventually) made into one of the fledgling nation’s first public museums. Wandering through the foundations, you’ll see remnants of the old fortifications first erected by King Philip II in the late 12th century– literally descending into and through layers of the city’s past. For full information on the collections, current ticket prices and further info for visitors, see the Louvre’s official website. If so, consider purchasing an e-ticket to the Louvre ahead of time, and avoiding the long lines at the entrance. If you’re after insights from an expert, you can also book a guided tour of the collections that includes a skip-the-line ticket (make sure to use the promocode “PARISUNLOCKED” to get 5% off when you check out). 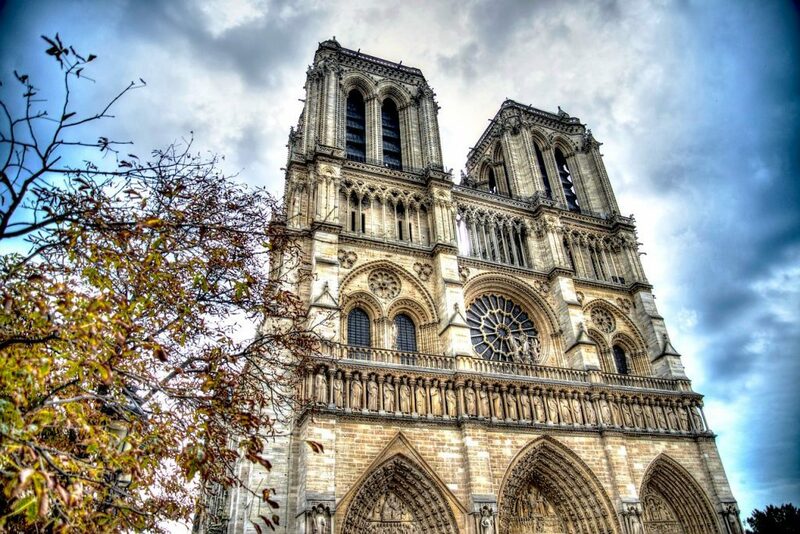 EDITOR’S NOTE: On April 15th, 2019, a fire broke out and badly damaged Notre-Dame. Its gothic spire collapsed in the flames and much of the wooden roof structure was destroyed. It will be closed to the general public for some time to come, sadly– but the facade is still worth visiting. Read my piece on Notre-Dame’s long, chaotic history, and learn how it’s survived various disasters and acts of violence over the centuries. Even though I’ve seen it hundreds of times, catching a glimpse of Notre-Dame Cathedral still never fails to leave me gobsmacked. It’s a pure feat of human imagination, will, artistry and engineering: a masterpiece that took hundreds of laborers around two centuries to complete. Workers started laying the first elements around 1163. None would see their unthinkable craftsmanship come to fruition. How’s that for dedication? Alongside Chartres Cathedral in the north of France, Notre-Dame represents the pinnacle of high-gothic French architecture. It’s got it all: dramatic towers, flying buttresses and spires, elaborate sculptures and decorative work, alluring yet creepy grotesques and gargoyles, and intricate stained glass. 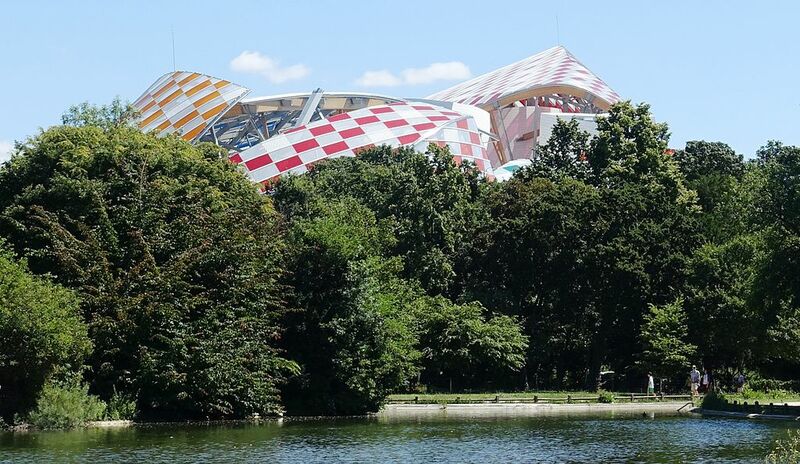 It’s nearly impossible to imagine Paris without this marvel on the skyline. When visiting for a first time, first spend some time contemplating the facade, with its elaborate sculptures telling complex biblical stories around the portals. The portals form a “triptych” of sorts. Above the portals lies “the gallery of Kings”, figuring the 28 monarchs of Israel. The cathedral is also renowned for being one of the first to feature exterior structures poetically known as “flying buttresses” for additional support. These allow for much more space inside the Cathedral, creating an effect of dizzying, almost divine height. Of course, that’s exactly the point. 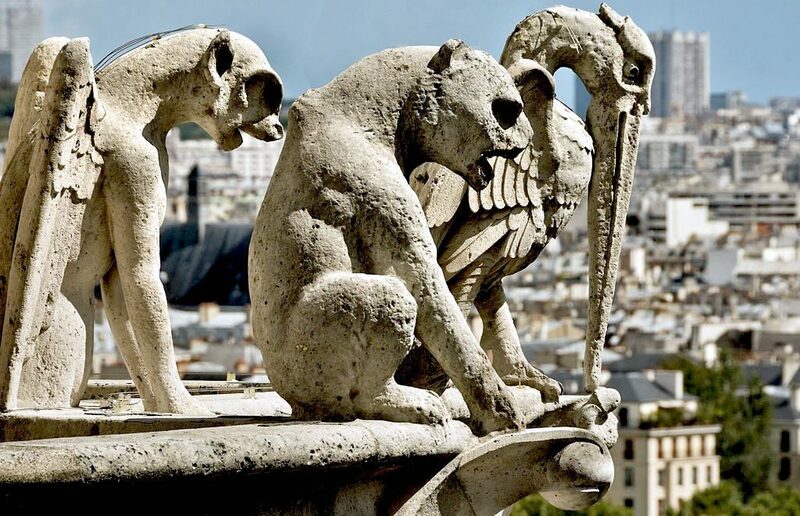 The towers, which can be climbed for those willing and able to, feature elaborate upper galleries decorated with iconic gargoyles and grotesque sculptures that seem to peer down ominously at the city. 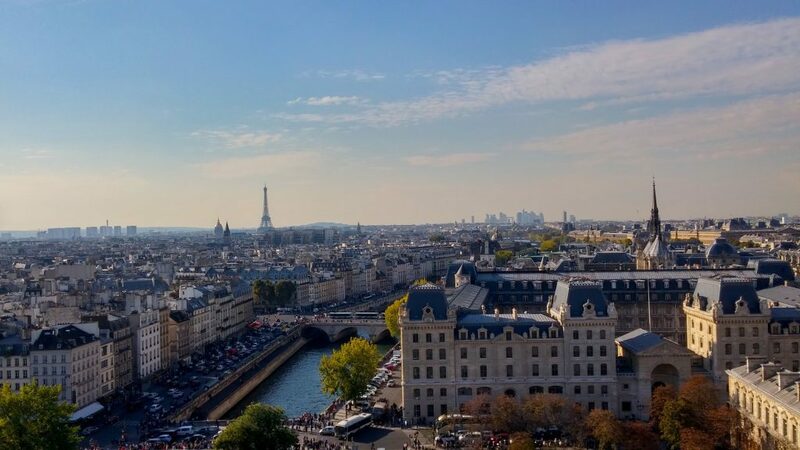 If you’re after panoramic views of Paris from the Cathedral, a visit up to the top is probably worth the extra price; the towers, unlike the main interiors of Notre Dame, are not free to visit. 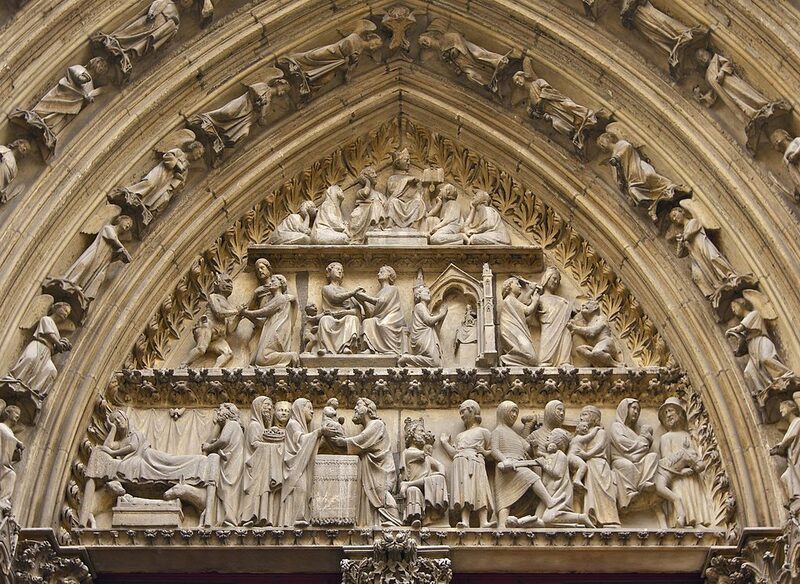 Many of the sculptures, and indeed numerous other details visible today at Notre-Dame, are in fact the work of the famous restorative architect Viollet-le-Duc. These restorations were in part necessary because the Cathedral was badly pillaged during the French Revolution of 1789. 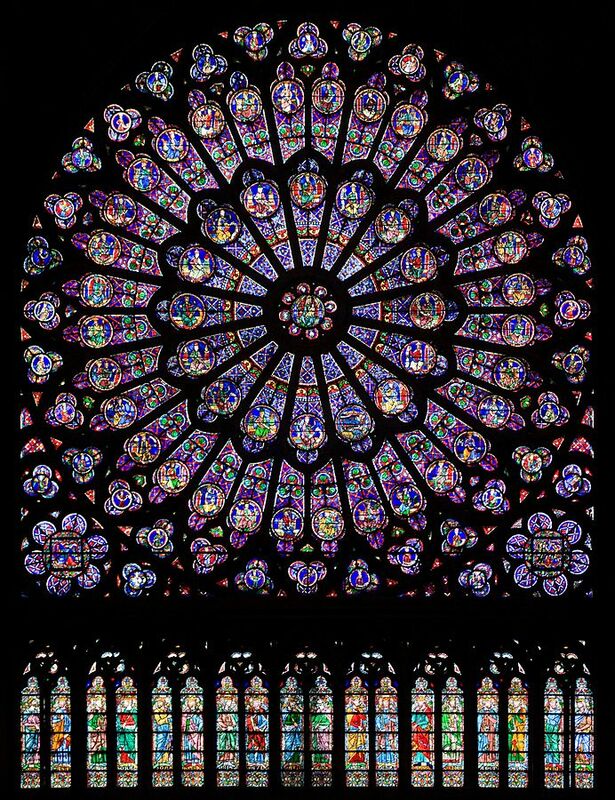 North rose window and panels of stained glass at Notre Dame Cathedral, Paris. By Julie Anne Workman – Own work, CC BY-SA 3.0. If you have the patience to wait in what are usually long lines to access the interior of the Cathedral (hint: go in the early morning on a weekday to beat the crowds) your eyes will be drawn immediately heavenward to the intricate stained glass– and especially to the breathtaking rose window at the north end. Some of it is original, but much of the glass you see today is the work of painstaking restorations. You can see other highlights from Notre-Dame’s interiors at this page. Many visitors head straight up to the top of the tower for the views and gargoyles, but neglect to visit the fascinating archaeological crypt that lies beneath the Cathedral. 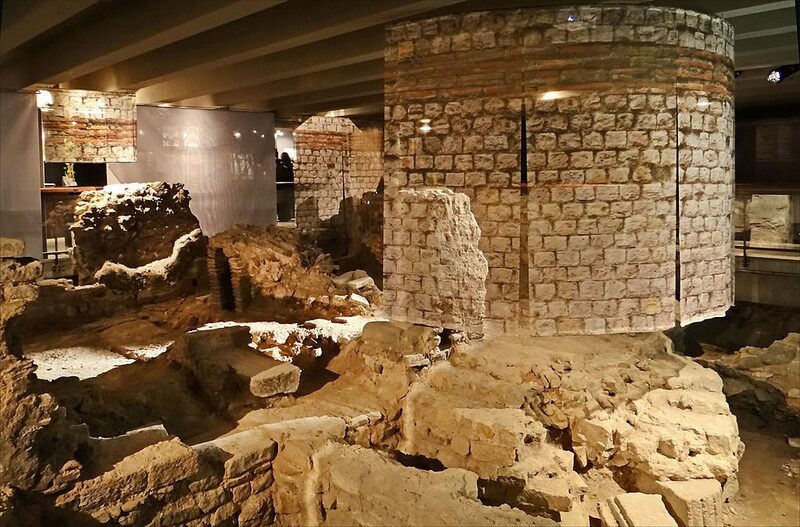 Here, you can see foundations of former Gallo-roman temples and early Christian churches that once stood on the same site, as well as other objects found during excavations of the 1960s and 1970s. Much like the visit to the Louvre’s foundation, this visit will allow you to understand in greater depth how Paris evolved over some two millennia. If you’re visiting with older kids or just feel like “gaming” your excursion to Notre-Dame, I recommend downloading and trying out the Huntzz app, which includes an entertaining and educational “treasure hunt” of the Cathedral. I thought I knew quite a bit about the site when I embarked on this particular hunt myself, but as it turned out, I had a lot to learn. 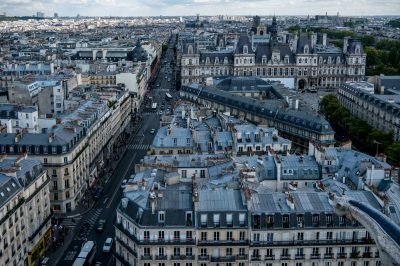 If you’ve perused the other articles on this site, you may already know that I advocate aimless wandering as the most optimal and exciting way to discover a city, Paris included. And while I tend to spend more time on lesser-known places and neighborhoods, I’d be remiss if I didn’t recommend a stroll through the Latin Quarter on a first visit. Stretching (roughly) from the St-Michel metro stop across the Seine from Notre-Dame Cathedral, to the Jardin des Plantes botanical gardens further east along the river, southwest to Luxembourg gardens and southeast to the Rue Mouffetard and Place Monge, the “Quartier Latin” has been an intellectual center of Parisian life for centuries. It is home to the Sorbonne (pictured above), one of the oldest universities in the world and a place of high learning from the medieval period to the present day. It harbors more bookshops (including rare book dealers and antiquarians) charming arthouse cinemas, cultural centers, lush parks and squares than most of the city’s arrondissements (districts) combined. 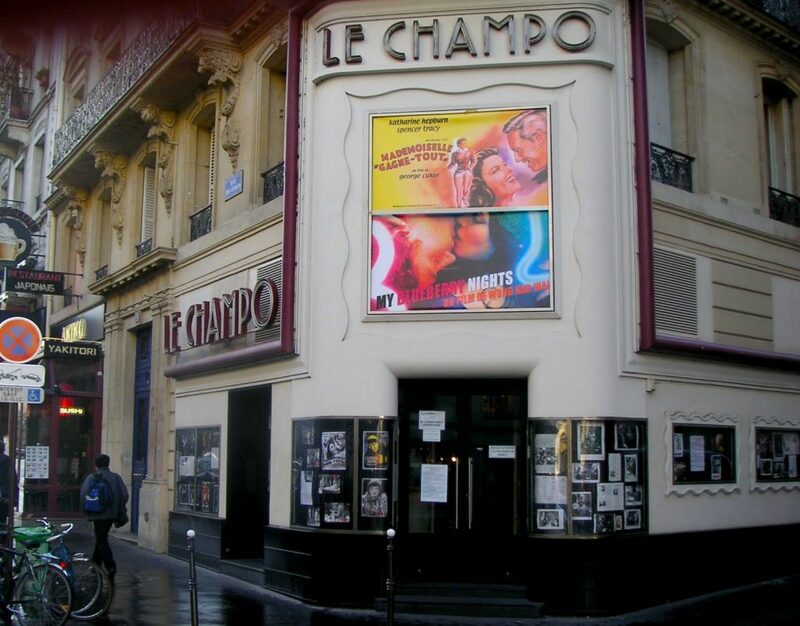 The Champo is one of the Latin Quarter’s beloved historic cinemas. 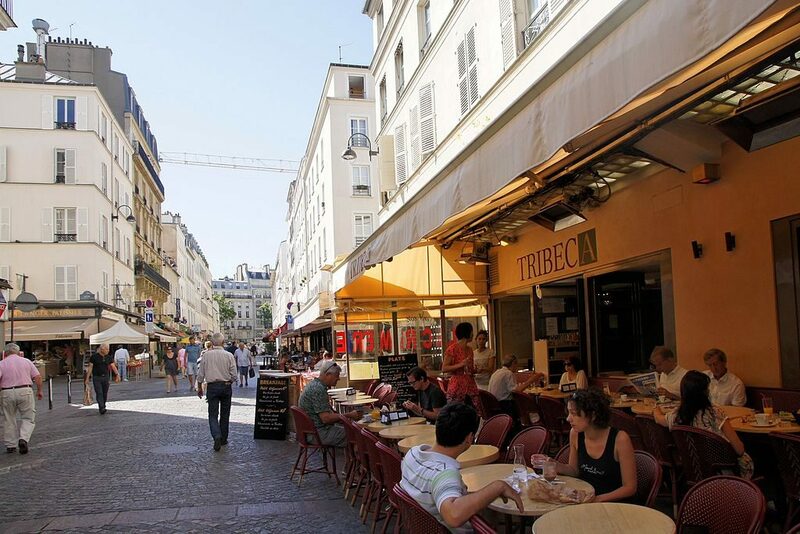 While it’s certainly a touristy place, roaming the Quartier Latin’s many quiet back-streets and winding alleyways will reveal a far more intimate and charming iteration of a neighborhood that can at times feel “done to death”. Choose a few key places you want to see, but spend the rest of your time exploring with no goal in mind. Peckish? 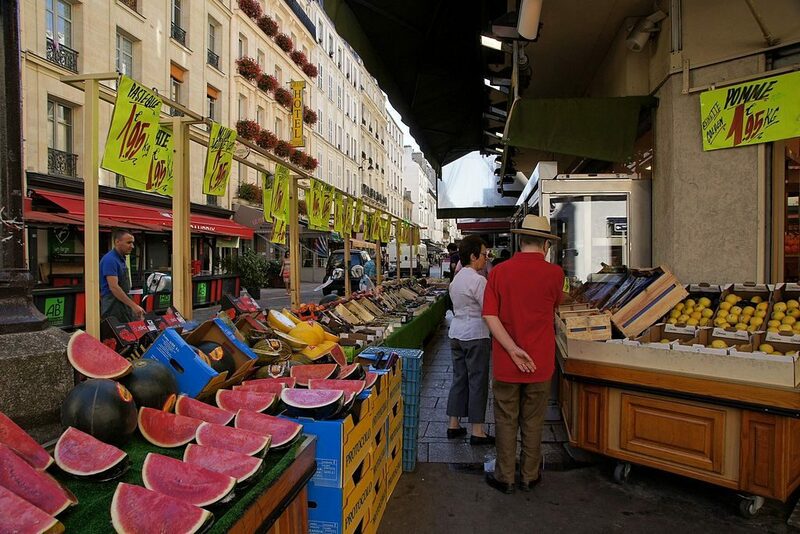 The area’s pop-up and permanent markets, such as those on Place Monge and Rue Mouffetard, respectively, offer some of the best fresh produce and local products in the city. 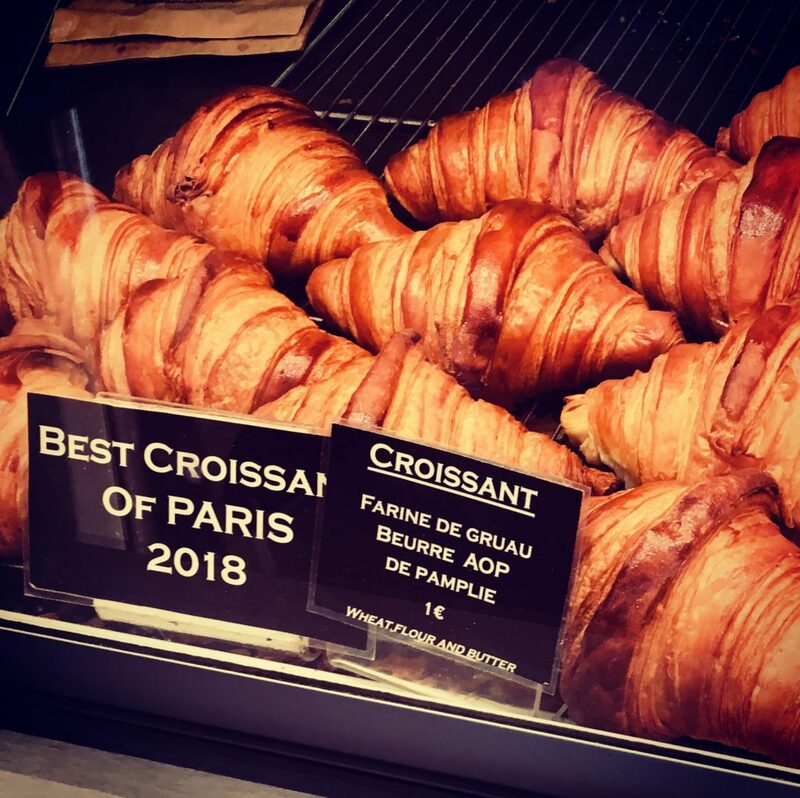 One bakery in the area sells what was recently billed as the best butter croissant in Paris. 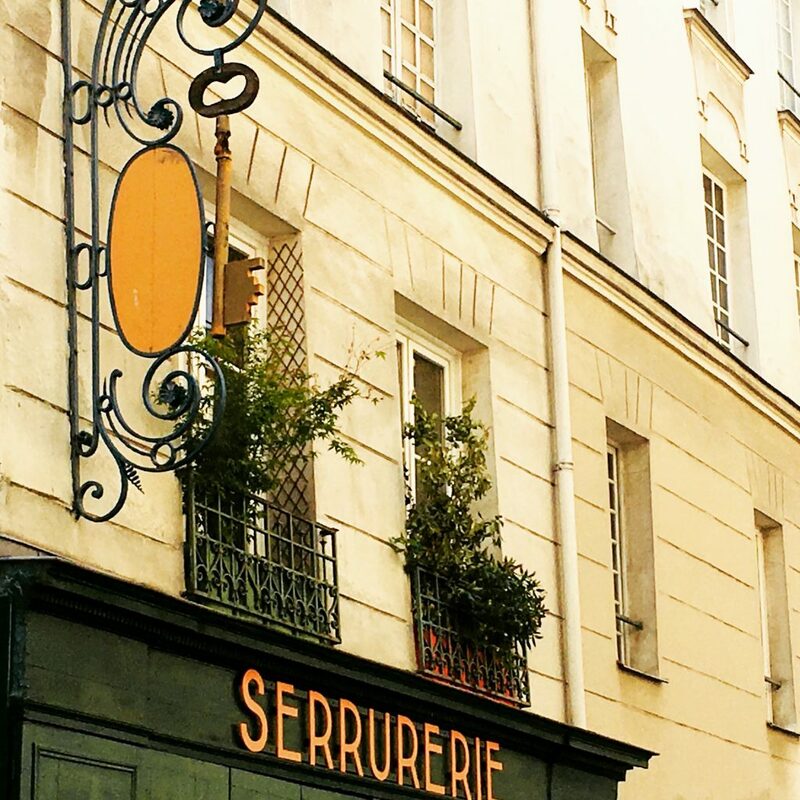 The Latin Quarter’s cafe culture is longstanding and iconic. 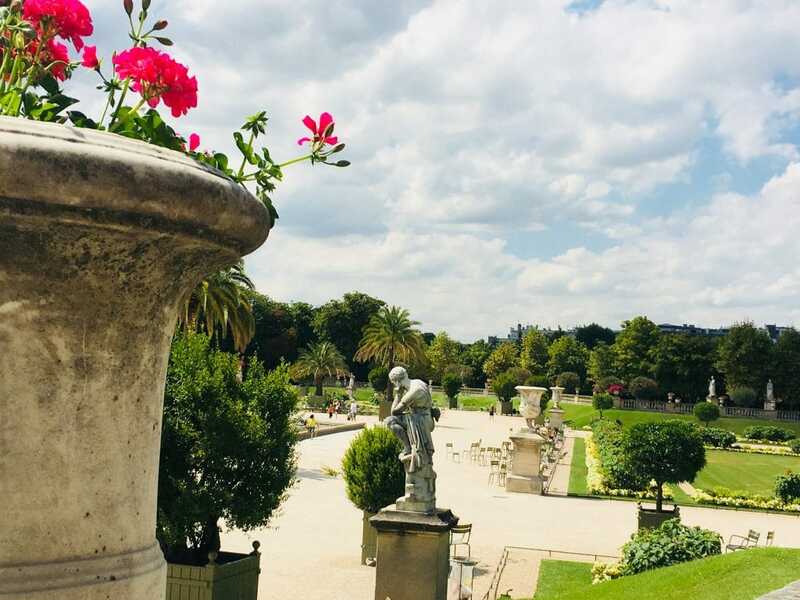 If you hope to catch the ghosts of literary and intellectual giants from Voltaire and Molière to Alexandre Dumas, James Baldwin and Gertrude Stein, spend some time poking around the Latin Quarter’s cafes, including those clustered around the Jardin du Luxembourg. 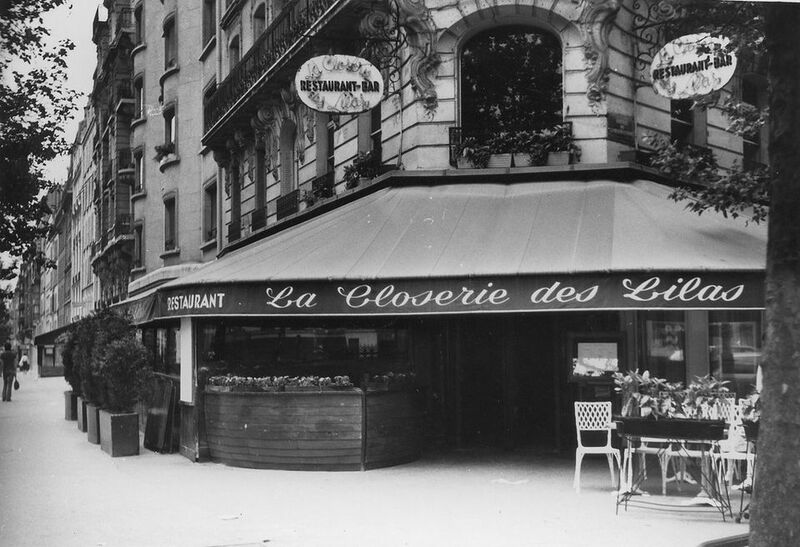 The Closerie des Lilas was frequented by writers such as Ernest Hemingway and F. Scott Fitzgerald. Biblioteca del Arte/Some rights reserved under the Creative Commons license. 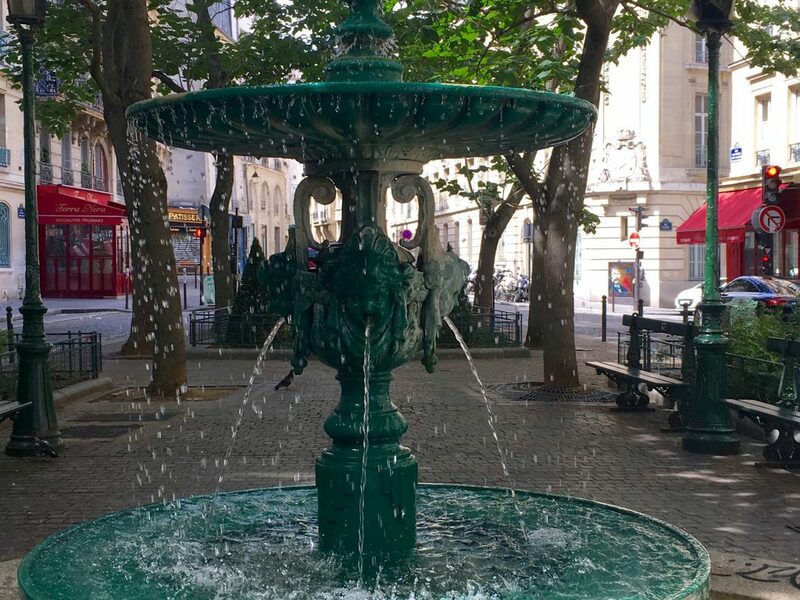 For more in-depth tips on what to see and do in the area (beyond your own creative amblings and unplanned digressions, which I hope you will undertake), see my full guide to the Latin Quarter at TripSavvy. One thing I recommend to friends and family who arrive in the city for the first time? Hop on a boat, from your very first afternoon or evening. Why this advice? 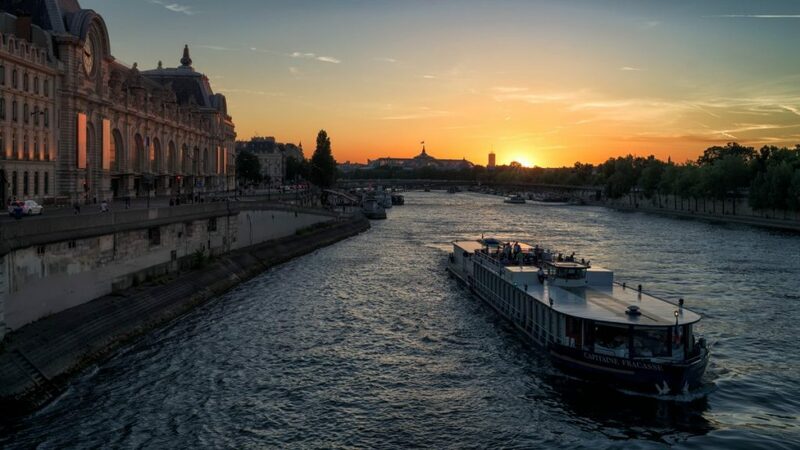 For one, river cruises on the Seine offer you an excellent initial overview of the city and its historic center, from Notre-Dame and the Louvre to the Assemblée Nationale (National Assembly) and the Eiffel Tower. I see this as a worthwhile “orientation tour” in its own right: you can get a quick, thrilling glimpse of some of the sights you may plan to explore in-depth later on in your stay. Along the way, you’ll also pass under some incredibly ornate and beautiful bridges. 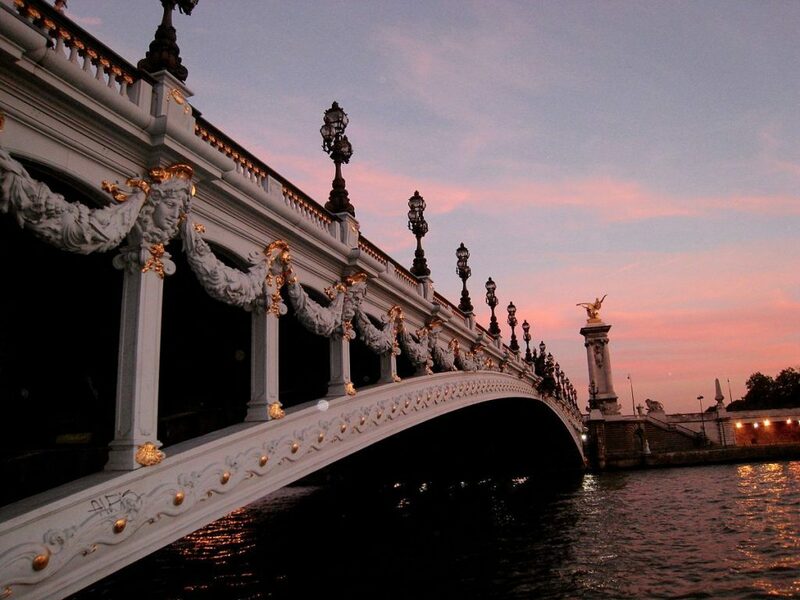 From the Pont Alexandre III with its sumptuous sculptures and elegant lanterns to the Pont des Arts, sublime at dusk and proffering lovely views of the Assemblée Nationale and the Eiffel Tower in the distance, the 37 bridges of Paris are fascinating in their own right. Secondly, you can’t properly grasp or visualize the history of Paris without learning more about the river that has served as its lifeblood for millennia. The Seine is, after all, the cradle of Parisian civilization: a Celtic tribe called the Parisii founded the city on the central “Ile de la Cité” separating the two banks of the river during the Iron Age, in around 250 BC. 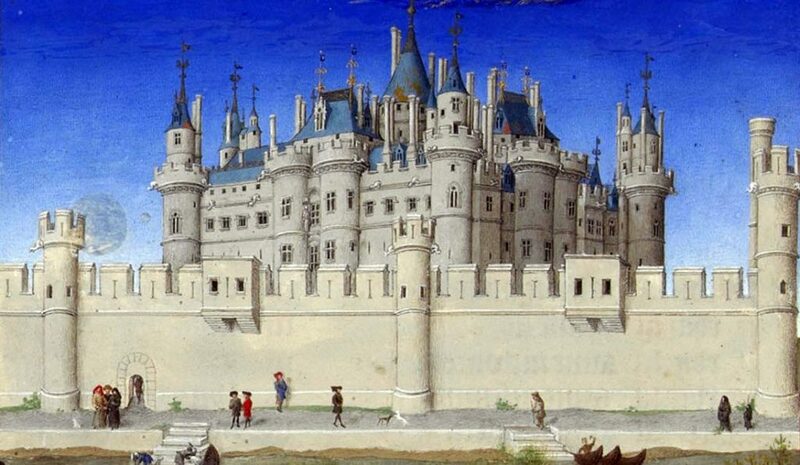 From there, the Roman Gauls and then medieval French monarchs built their respective cities around the banks of the Seine, erecting fortified walls to tightly demarcate their boundaries. Over the centuries, these boundaries would continue to expand outward. 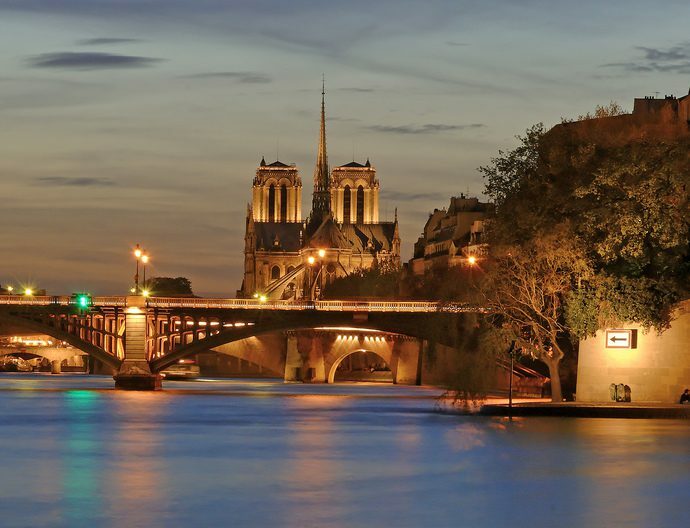 When you float down the Seine on a guided cruise, in short, you can easily imagine the original bounds of the Celtic, Roman and early medieval predecessors of modern Paris. 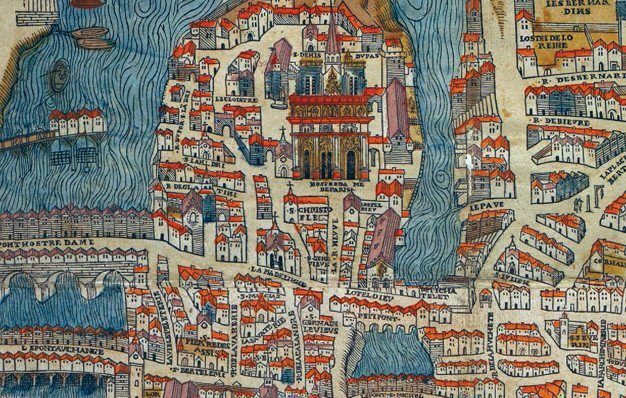 What better way to get a simultaneous sense of the city’s fascinating past– and glorious present tense? There are several companies to choose from, all offering a range of tours for most tastes and budgets. 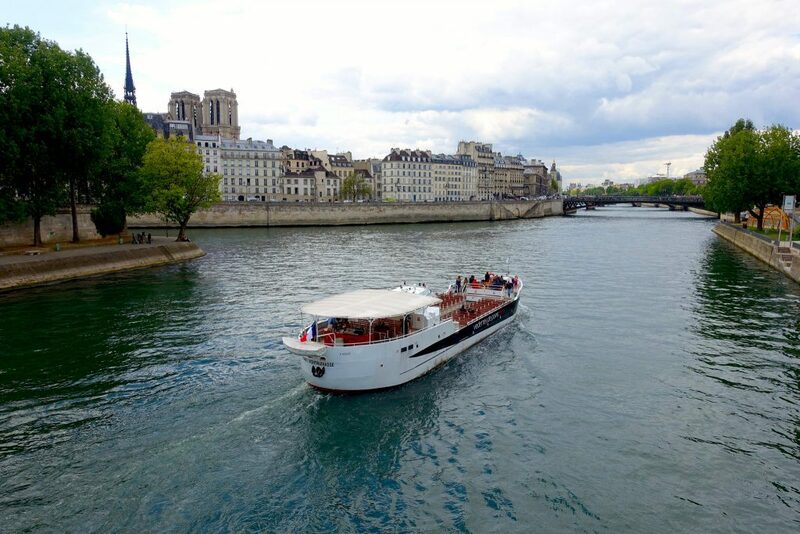 The iconic Bateaux-Mouches, Bateaux Parisiens and the Vedettes du Pont Neuf are all cruise operators I have tested and can personally recommend. If you have only a couple of hours and would prefer a short, commented cruise (lasting a little over an hour on average), a daytime cruise that includes free audioguides is probably your best bet. If you’re looking for a shorter cruise with a little touch of added luxury and celebration, you might consider booking Vedettes de Paris’ 1-hour commented champagne cruise. You’ll get a great overview of the sights, along with a celebratory glass of bubbly. If you’re a non-drinker or prefer not to drink, you can instead opt for a hot drink or a warm crepe. Prefer to linger a bit longer on the water? Lunch and dinner cruises can also be ideal, especially to mark a romantic occasion. Not all of them are prohibitively expensive, either. 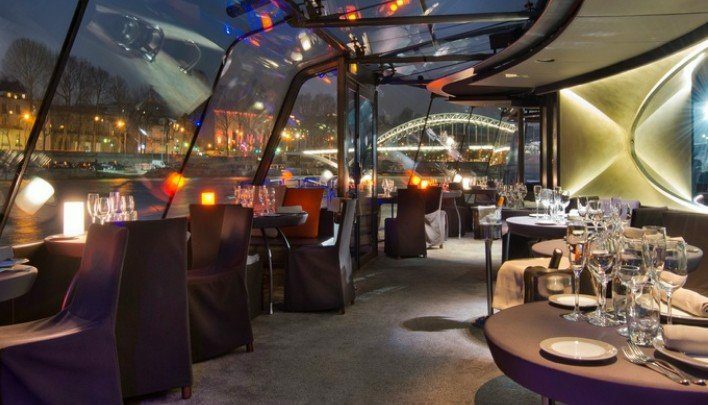 Bateaux Parisiens offers a 75-minute dinner cruise of the Seine that includes a three-course meal plus wine or coffee, all for a reasonable per-head price. Having a hard time sorting through all the choices out there? Bored with the Seine and wondering how to explore the other waterways around the capital? 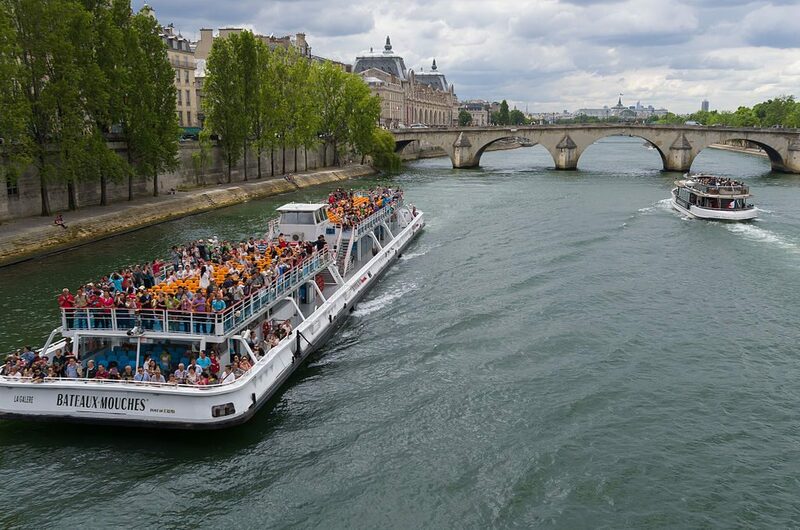 See more about choosing the right boat tour or cruise in Paris here, in my full article. 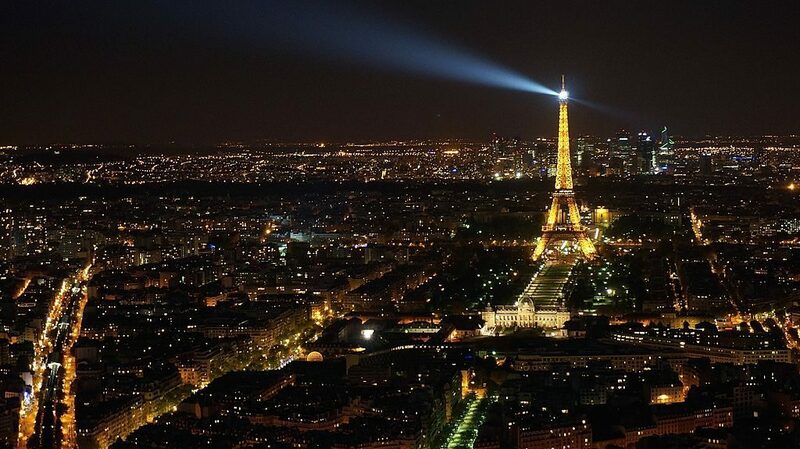 The Eiffel Tower is now an indelible part of the Parisian skyline. The story goes like this: in 1889, a relatively unknown engineer and architect named Gustave Eiffel unveiled a radically modern tower in Paris just in time for the World Exposition of that year. But sadly for Gustave, Parisians hated the 324 m/1,060-foot structure, panning it as an aesthetic travesty that ruined the Parisian skyline. 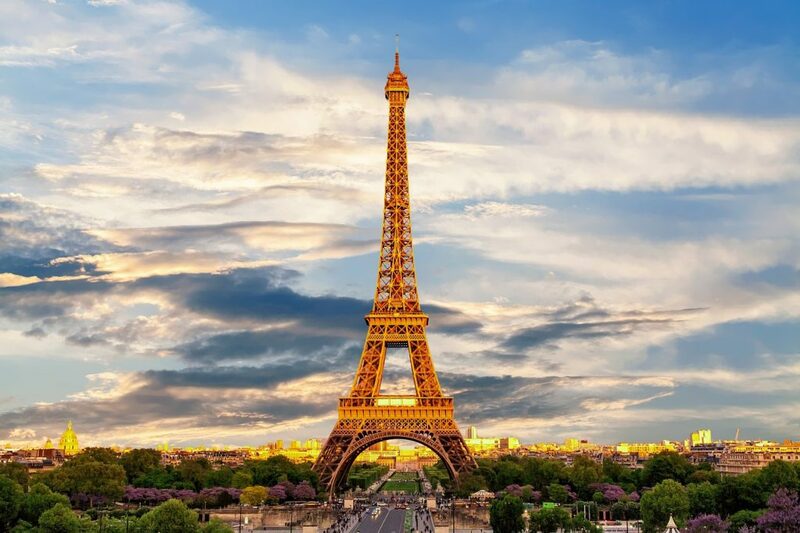 As decades passed, locals came to fully embrace the Eiffel Tower-– wrought from over 10,000 tons of iron and designed with elaborate exposed latticework that was considered avant-garde at the time– as the city’s official emblem. It took time, the story goes, but the city’s denizens ended up loving a monument they had at first loathed. 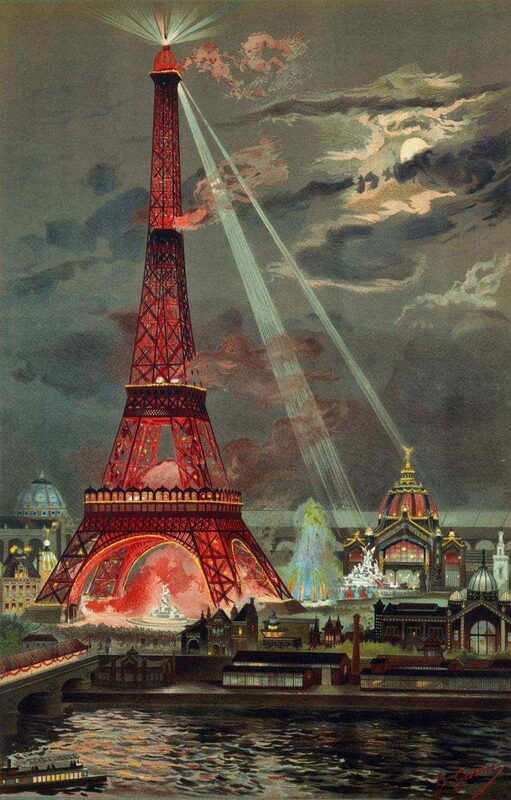 This image from illustrator Georges Garen shows the Eiffel Tower lit for its inauguration during the 1889 Universal Exposition. But it’s a bit more complicated than that, at least from my perspective. Most Parisians roll their eyes dismissively at any mention of the tower (or the suggestion that they should go visit it themselves). Perhaps it’s because nearly every Hollywood movie that’s set in Paris suggests that wherever you are in the city, the Eiffel looms right outside your windows, accordions swelling as you thrust the latter open. (Hint: this is almost never true). Perhaps it’s because the tower, visited by millions of people every year, is seen as too overrated to ardently love. Still, most will admit that whenever it bursts into a furious show of sparkling light as the clock strikes each new hour, it’s hard to peel your eyes away, no matter how many times they’ve rolled at the thought of the tower. It’s safe to say that the city’s initiative to make the tower more enticing, from near or far, has worked wonders. And it’s certainly worth going up to the top, at least once. All but the sportiest and most adventurous will want to eschew the nauseating prospect of climbing the 669 stairs to the first level, body exposed to wind and plunging heights. The stairs leading from the first floor to the very top are closed to the public, anyway. But taking the elevators up to the third-floor observation decks affords pretty unbeatable views of the city. Glass floors and enormous windows give you some of the best panoramic vantages around– and from here you can also admire the tower’s artful construction from up close. 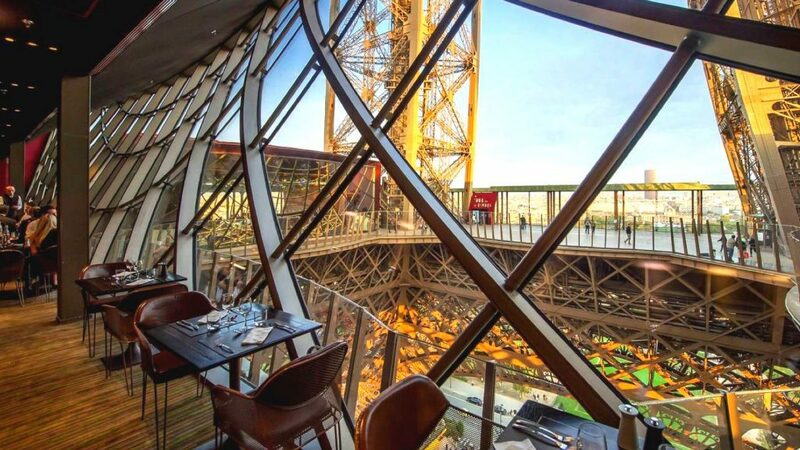 If you want to extend your stay and the fabulous views from up on high, you might consider lunch or dinner at one of the Eiffel Tower’s onsite restaurants. One, the 58 Tour Eiffel, is located on the first floor and offers a slightly more relaxed French brasserie vibe, while the gastronomic second-level restaurant, Le Jules Verne (closed for renovations until spring 2019), is significantly pricier and degrees more formal. You’ll also find a champagne bar, snack bars and onsite gift shops to keep you entertained once inside. One of the problems many tourists encounter post-Eiffel is figuring out what else to do in the area. It can feel a bit sterile, and it’s not uncommon to see visitors walking around looking a bit confused and uncertain of where to head next. One place I strongly recommend is the nearby Rue Cler, a delightful street lined with traditional shops and greengrocers. Just a short walk from the tower by taking Rue de Grenelle, the street is understated but full of charm. Rick Steves has called it one of his favorite streets in the city, and it’s regularly lauded as one of the finest destinations for anyone with gourmet proclivities. You can also stop for coffee or lunch on one of the pleasant terraced cafes in the area. Bakeries and patisseries, fresh produce, small boutiques selling fine foodstuffs, fish and flower vendors— there’s a wealth of traditional goodies peddled on the street, which somehow manages to preserve the vibe of a small village. It seems far, far away from the hordes. And that’s a good thing, right? In Joni Mitchell’s “Free Man in Paris”, the Canadian-Californian songwriter fantasizes about wandering “down the Champs-Elysées/going cafe to cabaret/thinking how I’ll feel when I find that very good friend of mine“. I frequently think about that song when I walk down the city’s widest and most-famous Avenue, scratching my head at what seems like a disconnect. These days, the Avenue boasts some of the city’s most expensive real estate; as a consequence it’s rather monotonously lined with boutiques from global brands like Louis Vuitton and Disney, and studded with tourist-trap restaurants. I admittedly don’t find it to be the most inspiring place in the city, and wonder whether it felt far less corporate and bland during the 1970s when Mitchell penned the song. 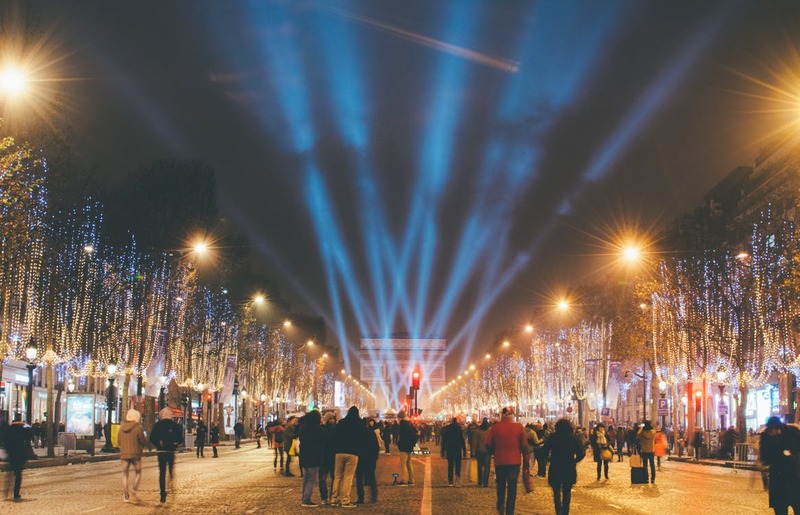 But the Avenue, stretching 1.2 miles from the Place de la Concorde from the east to the grandiose Arc de Triomphe at the Place de l’Etoile to the west, is so much more than a glorified outdoor mall. It’s home to superb cultural institutions and galleries such as the Grand Palais (pictured above), which hosts some of the city’s most-anticipated exhibits and artistic retrospectives; the Petit Palais, whose free permanent collection of paintings and sculpture is remarkable, and the Palais de la Découverte with its fascinating science and industry exhibits. All of these places are well worth spending some time exploring during a first or subsequent trip. This is a place haunted with French military history: one where the memory of those who perished in various conflicts is kept alive. Next time you take a stroll down the yawning Avenue, you might imagine how it harbors the ghosts of past triumphs– as well as dark moments in Parisian history. The Arc de Triomphe: symbol of military pomp, but also a solemn memorial site. First, both the Avenue itself and the enormous arch at its western end are strongly associated with French military prowess. The “Champs” is the traditional site of military parades and commemorative events, including the Fete Nationale on July 14th (Bastille Day) and November 11th (Armistice Day), when those who died in the First World War are honored at the Arc de Triomphe, where the Tomb of the Unknown Soldier lies beneath the arch, a memorial flame burning alongside it. 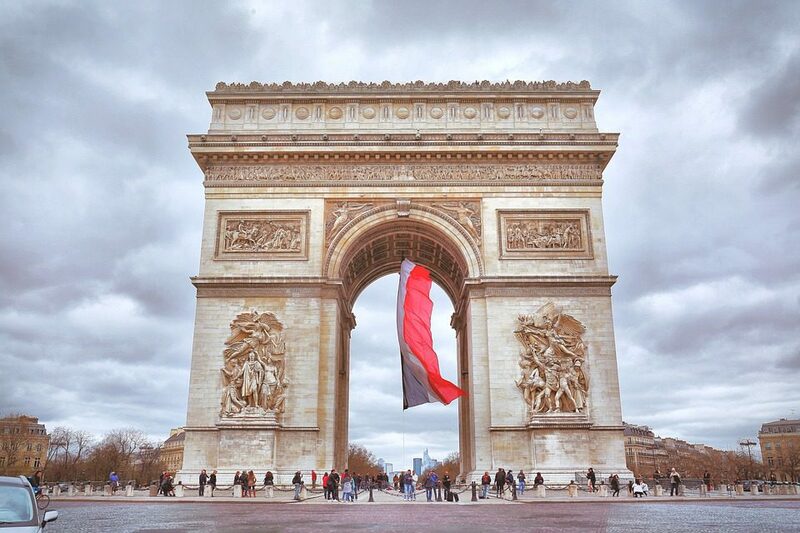 On November 11th, 2018, French and world leaders gathered at the Arc de Triomphe in memory of the end of World War I exactly 100 years earlier. The centenary celebration marked yet another stirring moment in the site’s long history as a site of commemoration and solemn memory. Napoleon I commissioned the famous arch to celebrate his military victory at Austerlitz. Constructed between 1806 and 1836, it’s decorated with elaborate friezes and the names of those who fought in the Napoleonic and Revolutionary wars, and built with upper galleries from which you can take in sweeping views of the city. While it’s certainly a symbol of military pomp, scaled, perhaps, to the ego of the Emperor himself, it’s also a place of solemn memory. 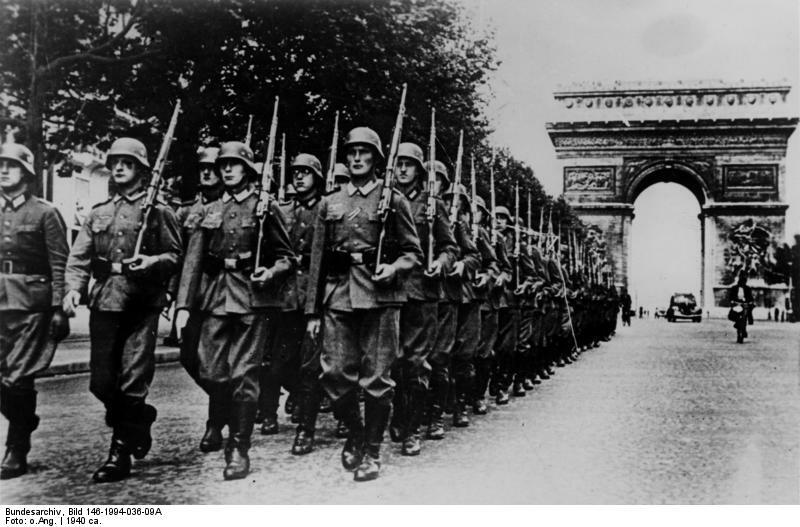 The German army marched under the Arch and down the Champs-Elysées in both 1871, following a victorious battle in the Franco-Prussian war, and in 1940, when Nazi troops led by Adolf Hitler staged a highly symbolic victory lap to mark the fall of Paris at the outset of World War II. 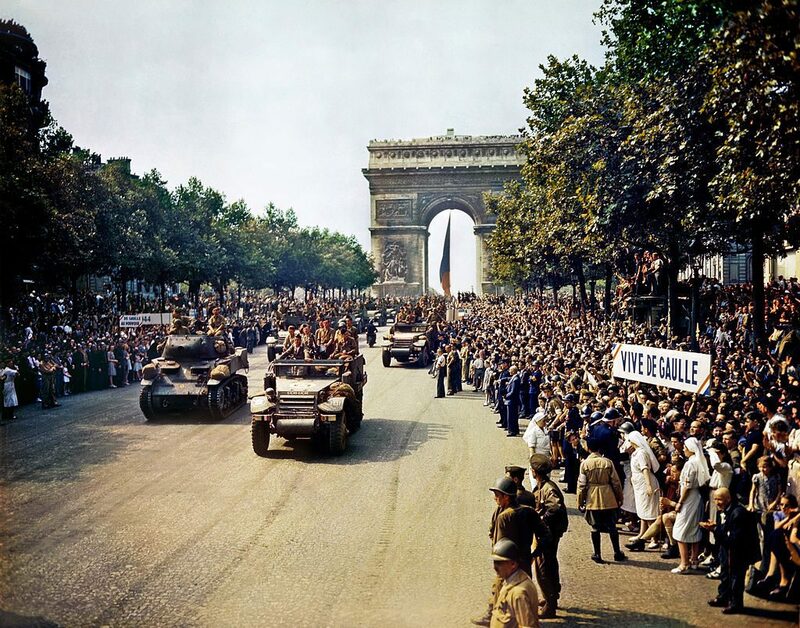 But it was also here that the ends of both World Wars were joyously celebrated: in 1919 and in August 1944, when Paris was liberated by Allied troops. These tragic conflicts of centuries past are periodically commemorated with the rekindling of the flame of the Unknown Soldier. Notable figures who have been honored with performing the task include Eugene Bullard, an African-American fighter pilot during World War I who later joined the French Resistance against the Nazi Occupation. 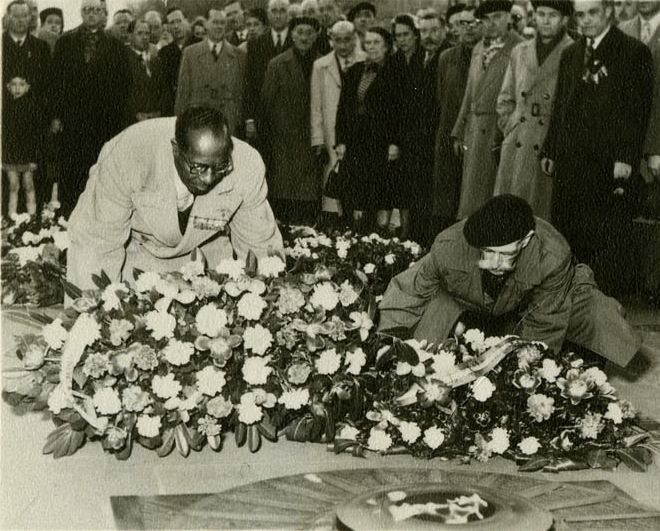 Eugene Bullard at the Tomb of the Unknown Soldier in Paris, 1954. Public domain. 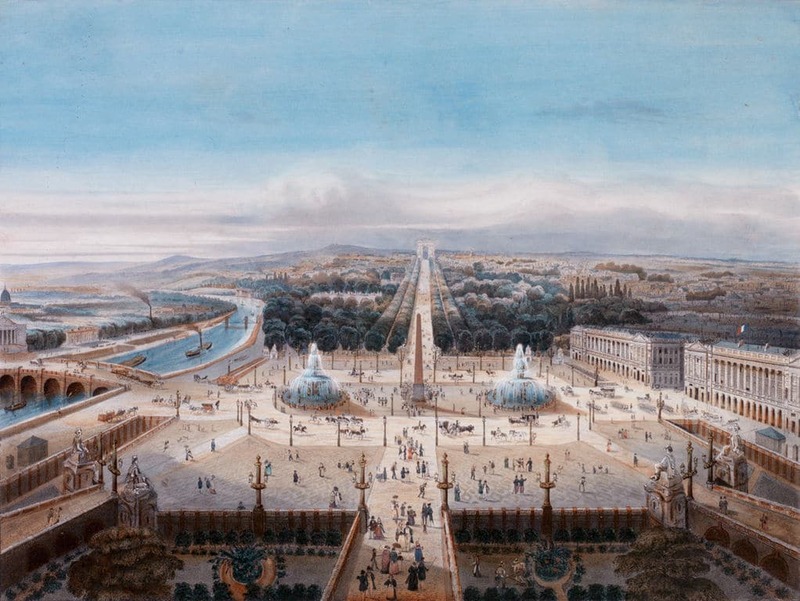 An anonymous 19th-century drawing shows the “Triumphal Way” as seen from the Tuileries gardens. Standing beneath the Arc de Triomphe, you can also gaze in both directions down what is known as the “voie triomphale” (triumphant way, also know as the “historic axis”), which extends in a line to the Place de la Concorde with its Egyptian “Luxor Obelisk”, then through to the Arc de Triomphe du Carrousel, a smaller arch nearby the Louvre that was also commissioned by the first Napoleon and finished much earlier than the larger arch on the Place de l’Etoile. Gazing in the opposite direction, to the east, you can see the enormous Grande Arche de la Défense–a 20th-century creation that’s so tall that it succeeds in significantly dwarfing its predecessors. If so, consider booking tickets for the Arc de Triomphe in advance (via Tiqets.com). Your ticket includes access to the upper observatory deck and museum. 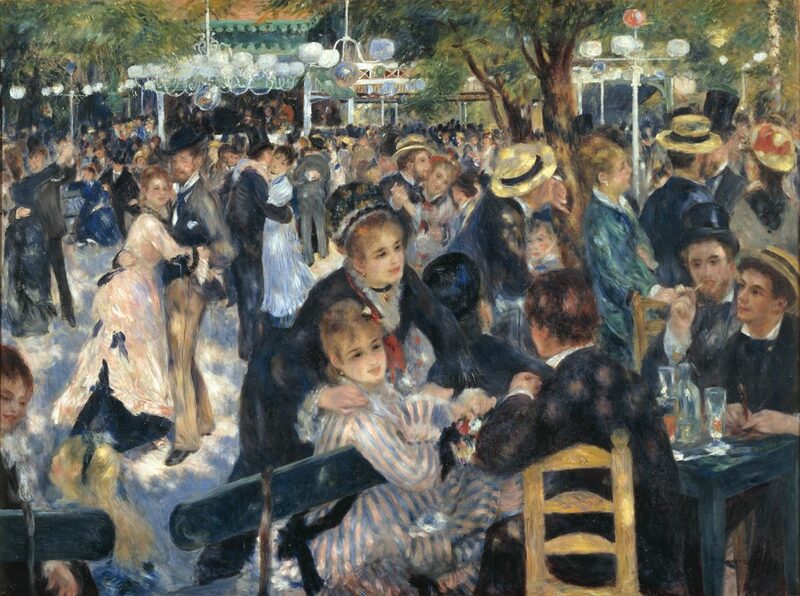 Pierre-Auguste Renoir, “Le Moulin de la Galette”, circa 1876. Musée d’Orsay, Paris. If you can only fit one museum visit in during your stay, I’d recommend that you choose the Musée d’Orsay. Why? If you want to understand how modern art both borrowed from the conventions of classical predecessors while radically breaking from them, a morning or afternoon wandering through the staggeringly rich collections of this relatively new national museum will offer you a near-complete education on the topic. It’s also less overwhelming than the Louvre, which can be a boon when you have limited time. 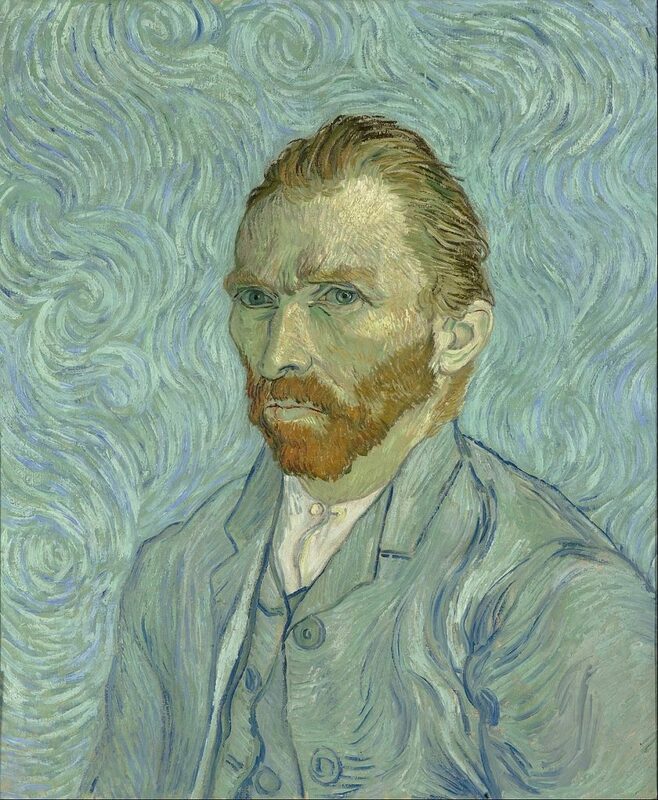 Vincent Van Gogh, Self-Portrait, circa 1889. 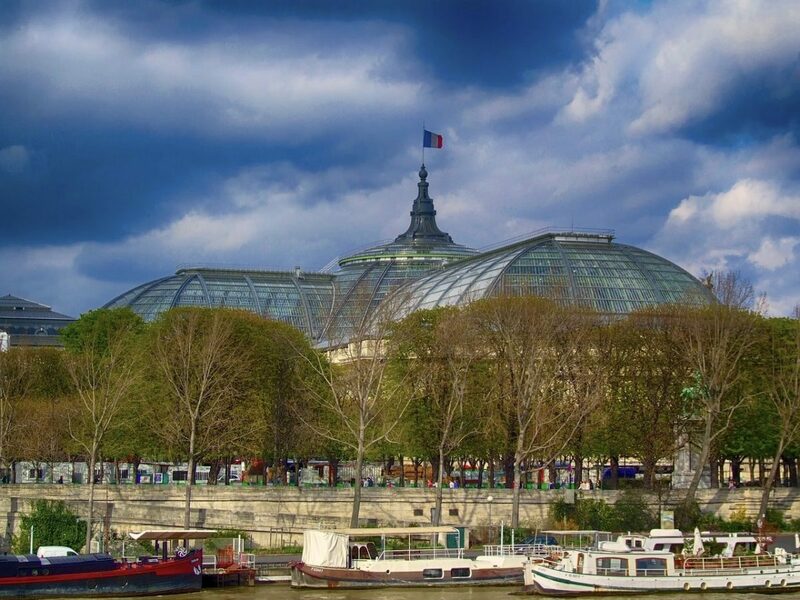 Housing the world’s largest permanent collection of Impressionist and Post-Impressionist masterpieces– from painting, drawing and sculpture to photography and furniture–the Orsay was opened in the former train station of the same name in December 1986. 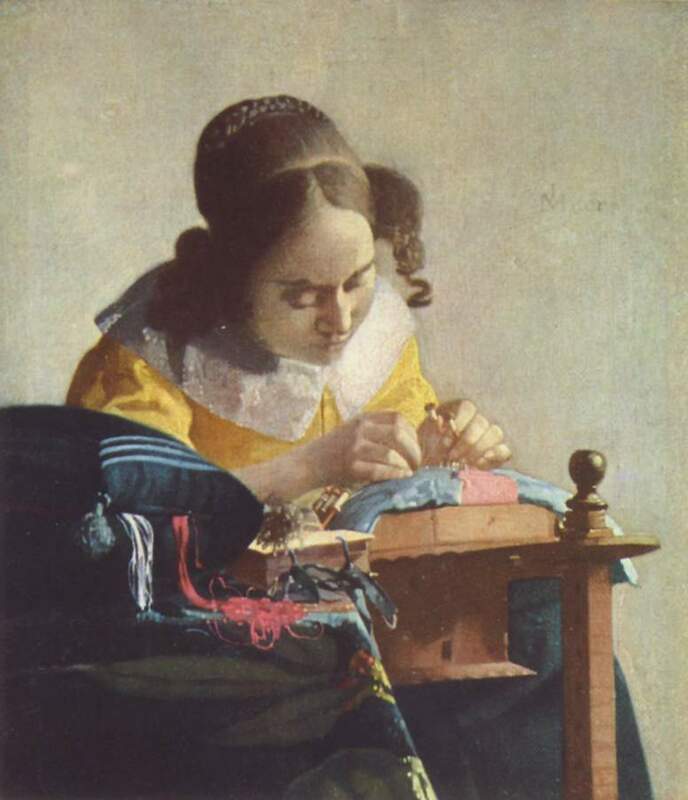 Many major works of art from the nearby Galeries de Jeu de Paume were transferred to the new museum. 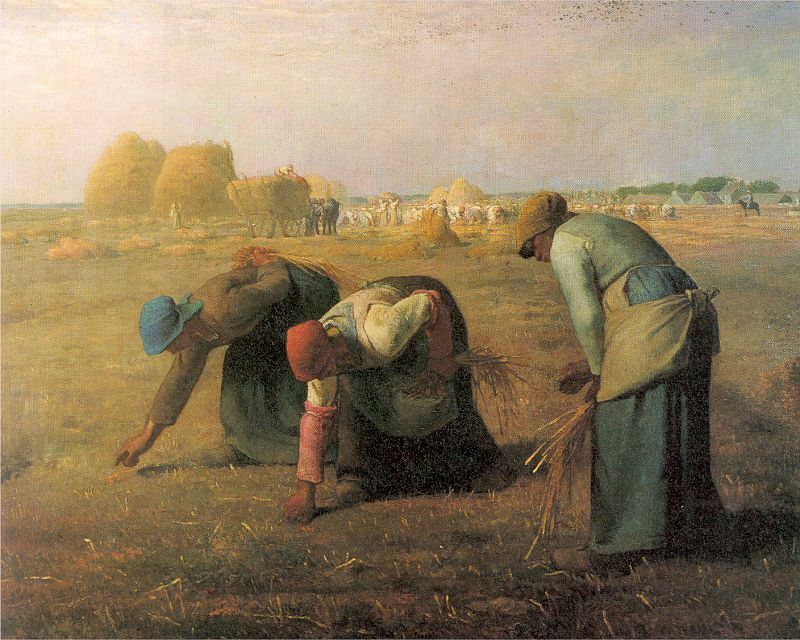 It was conceived as a way to bridge the chronological gaps between antiquity and classicism (represented by the collections at the Louvre) and those of the late modern and contemporary period (represented by the fantastic permanent collection at the Centre Georges Pompidou’s National Museum of Modern Art). 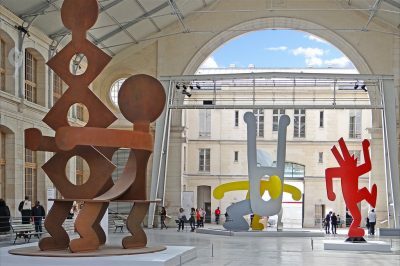 Short side note: the latter collection and the marvelously quirky Pompidou Center should certainly a priority for any first-time visitors with an interest in contemporary art and culture. The colossal permanent collection at the Orsay features works of art dating from around 1848 to 1914. 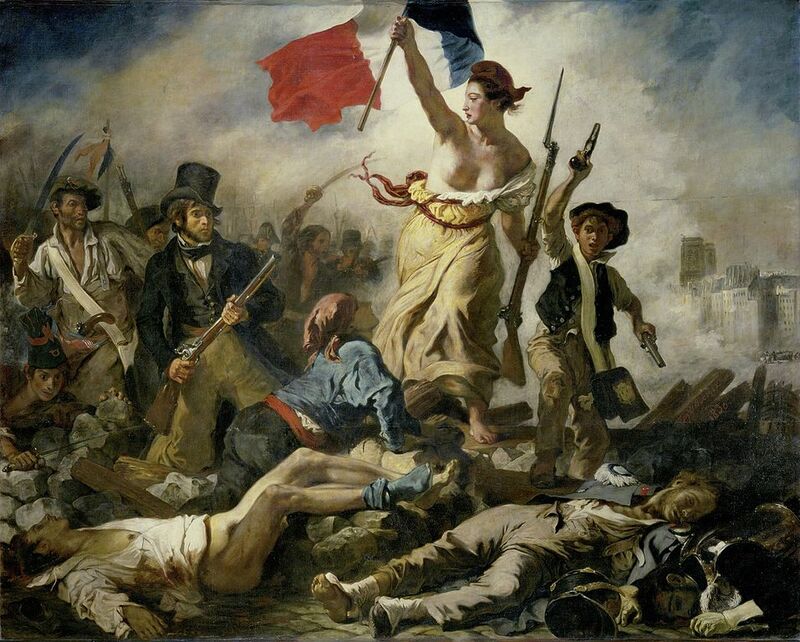 It includes masterpieces by Paul Cézanne, Edgar Dégas, Eugène Delacroix, Gustave Courbet, André Dérain, Vincent Van Gogh, Claude Monet, Berthe Morisot, Camille Pissarro, Gustave Caillebotte, Paul Gaugin, Alfred Sisley and Henri de Toulouse-Lautrec. 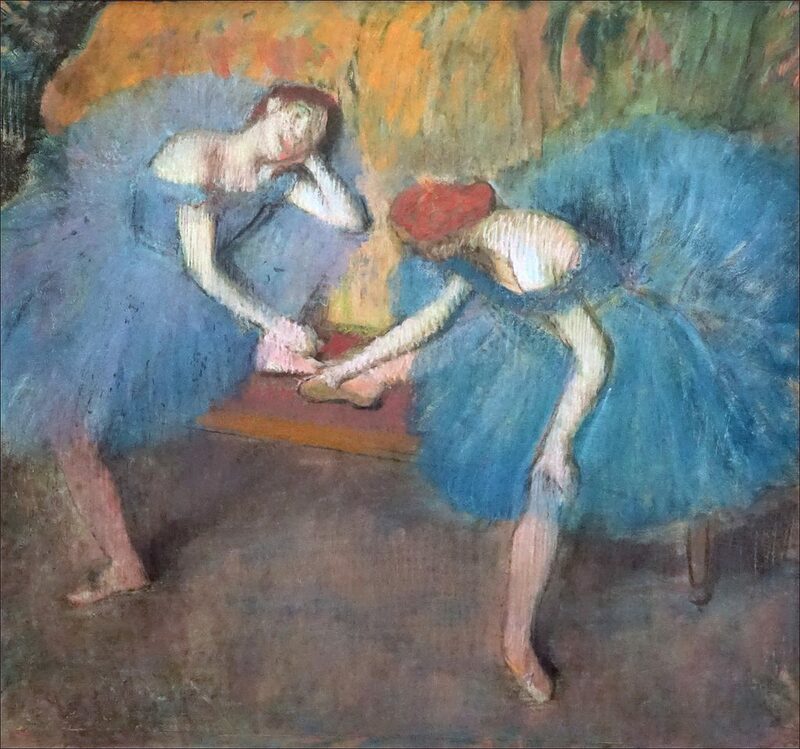 Edgar Degas, “Danseuses Bleues”, 1897. Sculptures from the likes of Auguste Rodin and Camille Claudel are also highlights, and the collection of decorative art and photography is likewise intriguing if you have a bit of extra time. 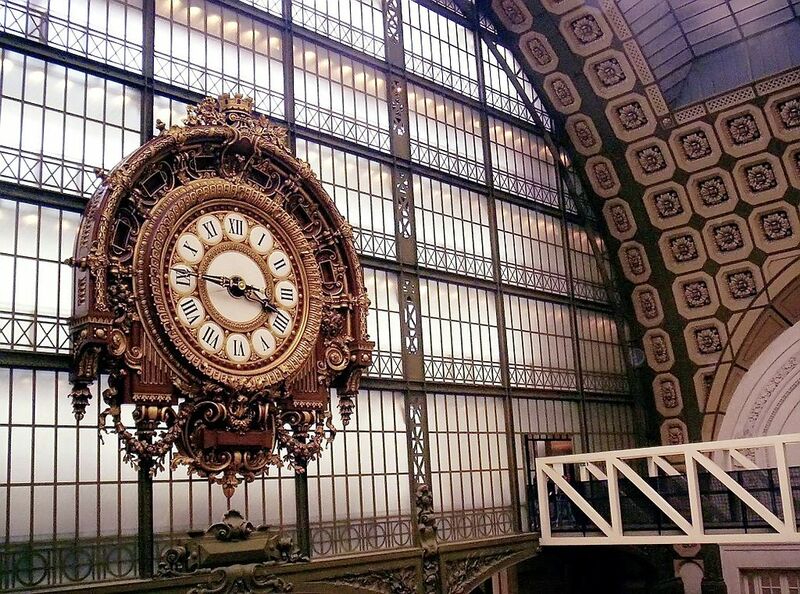 Meanwhile, the ornate antique clock that stands on the north wall against a glass and metal-paned wall offers views of the Seine just beyond– and is is a fitting remnant of the museum’s past as a rail hub. To make the most of your visit, I recommend that you reserve at least two to three hours for it (perhaps even four if you plan to have tea or lunch onsite). This will allow you time to really linge, appreciating the works that most strongly capture your imagination and pique your curiosity. You can focus your visit around clusters of favorite artists (or movements): you can perhaps begin with the early Impressionists and move through to the post-expressionists. 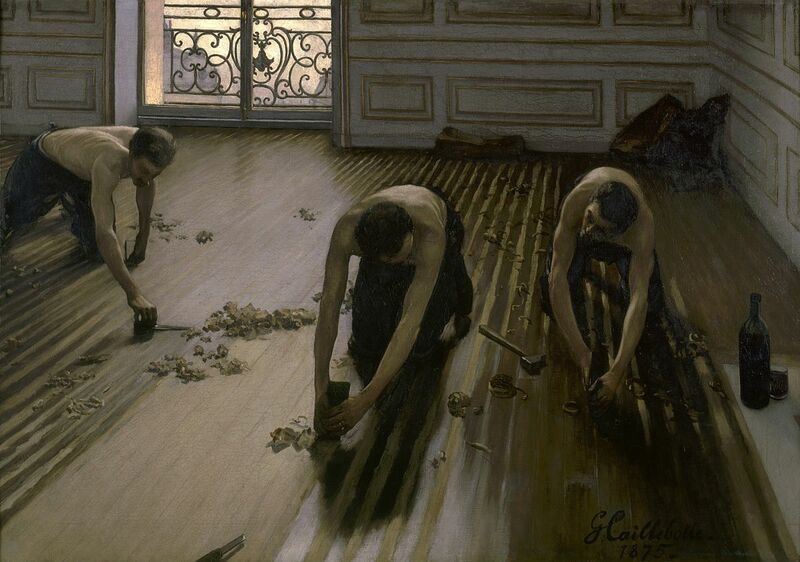 Gustave Caillebotte, “The Floor Scrapers”, 1875. Musée d’Orsay, Paris. Public domain. 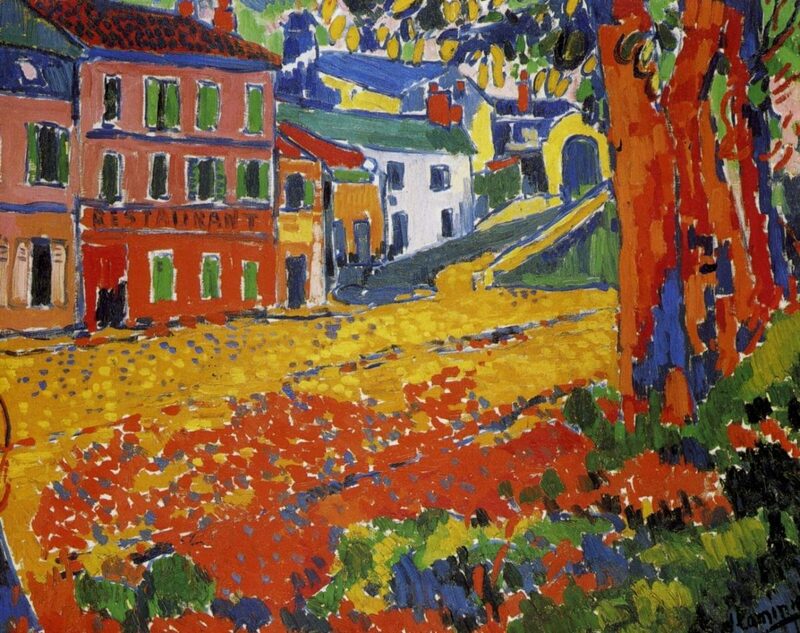 This might help you gain a stronger understanding of how something like the antinaturalist, wild use of color in Fauvist paintings by Maurice de Vlaminck differ from the more muted tones and classical elements evident in the early impressionism of Caillebotte or Monet. If so, you can save time by booking skip-the-line/dedicated entrance tickets to the Musée d’Orsay in advance (via Tiqets.com). If you’re interested in a guided tour, you can book one ahead of time (in English) here. A quieter street around the Sacré Coeur Basilica in Montmartre: a reminder that pockets of calm aren’t far away from the crowds. 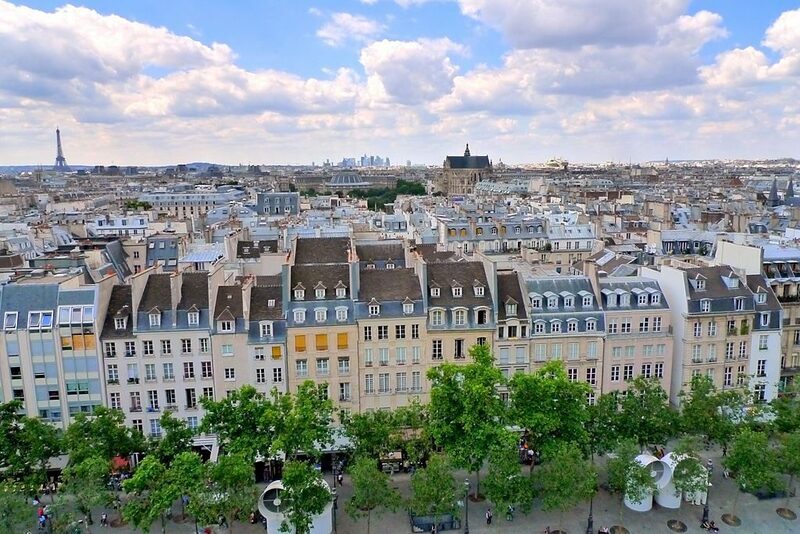 Often still regarded by residents as a village in its own right, the historic Montmartre neighborhood in the northern reaches of the city was only recently incorporated into Paris. You can sense that fact as you roam its sinewy, greenery-lined streets and quiet back alleys, or trudge up one of its many long, lamplight-lined stairways. 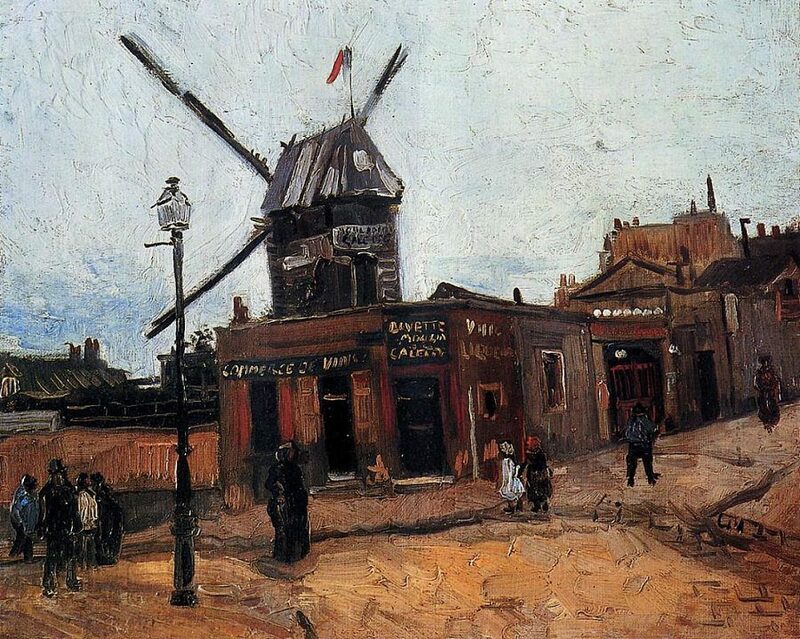 At one time home to some 15 windmills, Montmartre still has one that remains intact, at the Moulin de la Galette restaurant and former night club. Known as the Radet windmill, it’s been represented in countless works of art, such as Vincent Van Gogh’s series of the same title, circa 1886. He had a studio nearby, on Rue Lépic. 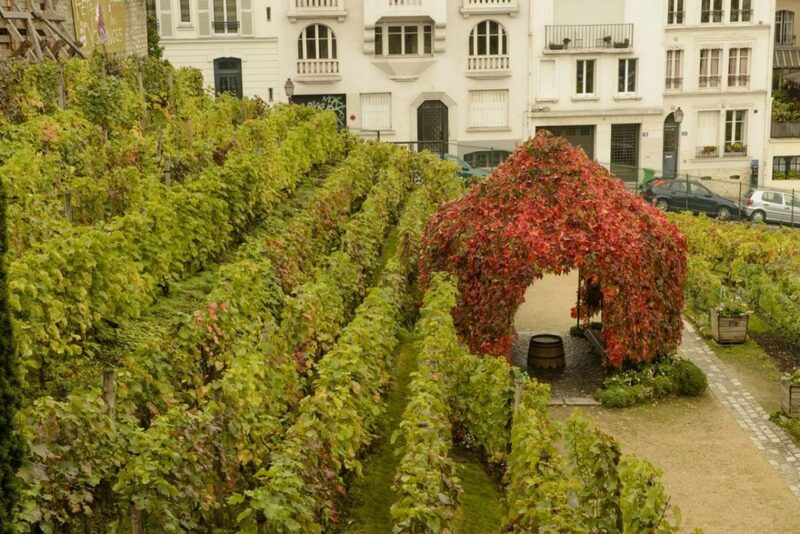 You can also see Montmartre’s agricultural past in places such as the Clos Montmartre vineyard, the only remaining active vineyard in the city. Here, yields are tiny and the wine produced isn’t remarkable, but the legacy of Montmartre’s agricultural past remains fascinating. 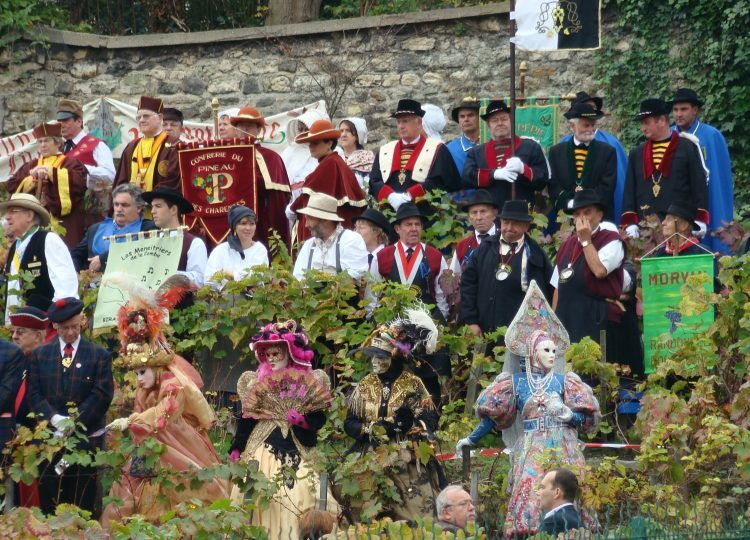 Every year, the Vendanges de Montmartre wine harvest festival offers visitors an interesting portal into traditions past: this rather tame Bacchanalia features live music, food and wine tastings and weird wine-related rituals presided over by men in capes and funny hats. In short: It can be a lot of fun, if you happen to be in town. If not, the area offers plenty to see and do year-round– you just have to get beyond kitschier areas, including the tourist traps clustered on the Place de Tertre. Unless you enjoy the amusement-park artifice of places like this, I’d generally avoid– beyond a quick peek. Do spend a good hour or so at the iconic Sacré Coeur Basilica, which is worth a look as one of Paris’s most-recognized monuments. The architecture, while not to everyone’s liking– many compare it to a bloated creampuff crowning the Montmartre “Butte” (hill)– is nevertheless iconic and whimsical. Sacré Coeur Basilica, an iconic sight on the Parisian skyline. On a day with good visibility, the panoramic views from the stairs below the basilica are well worth the climb to the top. For only the price of a single metro ticket, you can always take the funicular from Metro Abbesses if you have limited mobility, or prefer not to brave some 300 stairs to the top. 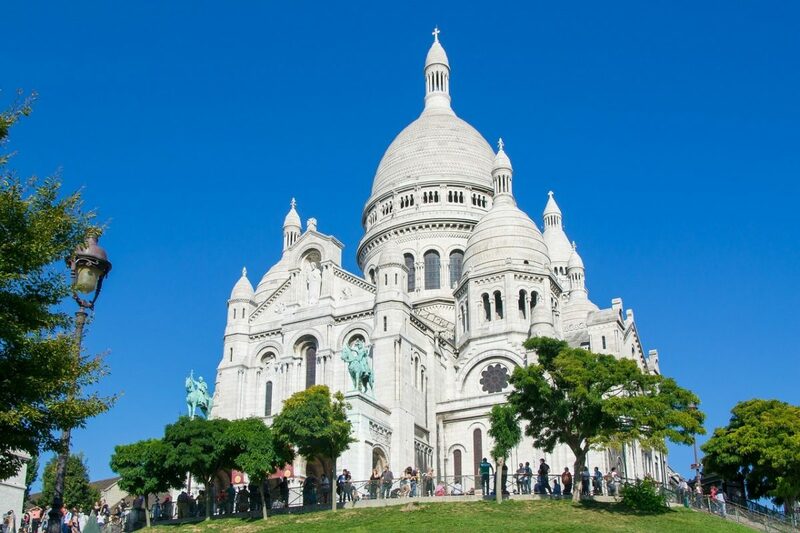 For more info, you can see my full guide to visiting the Sacré Coeur over at TripSavvy. 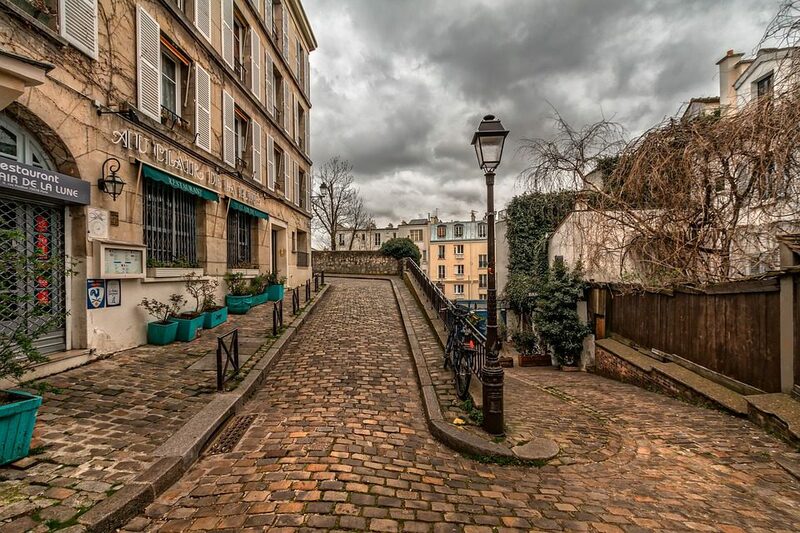 Richly endowed in art history and architecture, Montmartre is best explored on foot, at a gentle pace– and the further away you get from the Sacré Coeur to explore the wending back streets and winsome alleys lined with ivy and flowering plants, the better. Many renowned artists have lived and worked in the area, including Pablo Picasso, Juan Gris, Marie Laurencin, Amedeo Modigliani, Henri Matisse and countless others. Their legacy can be appreciated at local sites such as Le Bateau Lavoir, where several of the same artists had workshops and held exclusive salons. 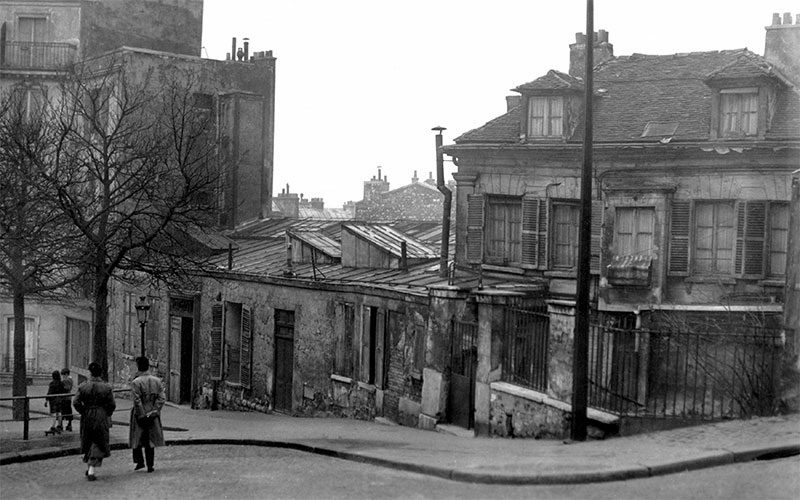 Le Bateau-Lavoir in Paris, circa 1910. Public domain. The area is also haunted with the history of French chanson from the likes of Edith Piaf, Charles Aznavour and Dalida. 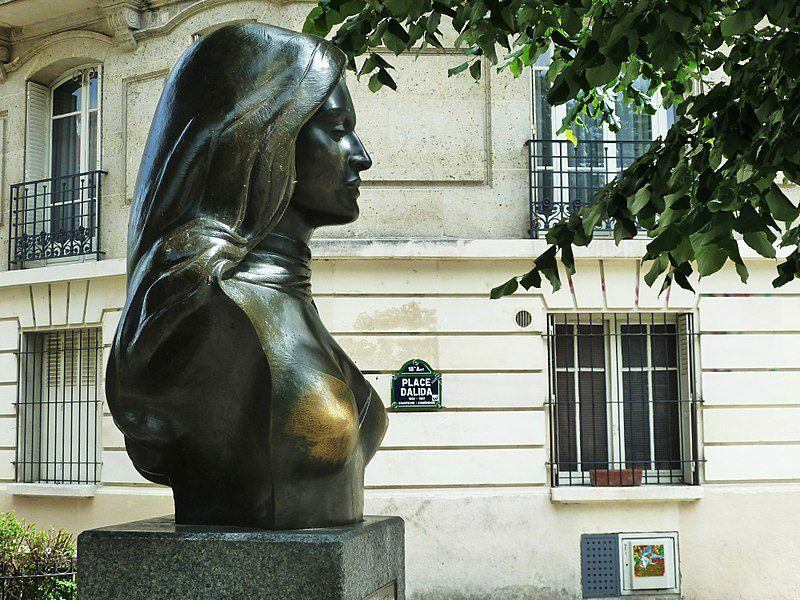 The latter’s bronze bust stands nearby her former house on the eponymous Place Dalida. This is, incidentally, one of my favorite squares in the city. Save a passing crowd, it’s remarkably quiet and peaceful. 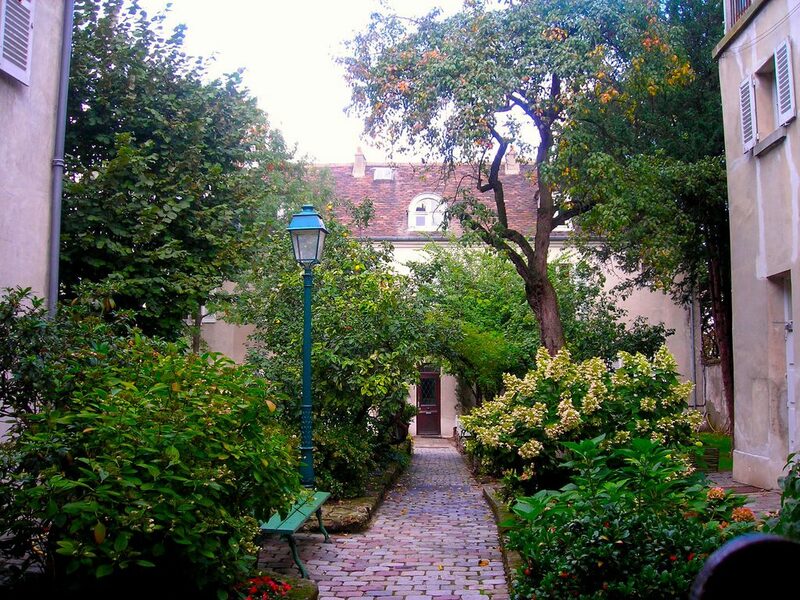 A place as historic as Montmartre may merit a good guided tour if it’s your first time exploring the neighborhood. You can browse and book a variety of highly-rated tours here (via TripAdvisor). 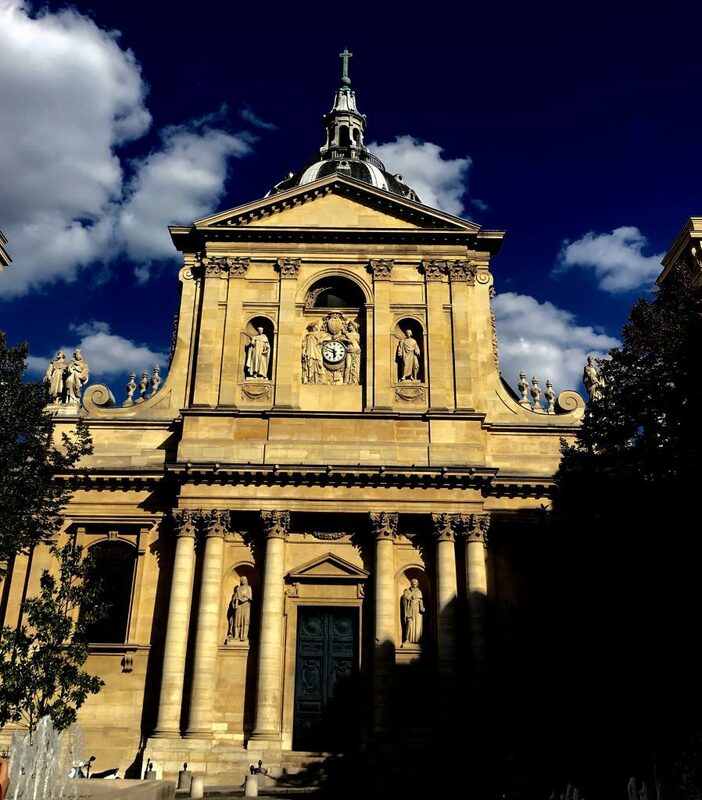 Some might find it a bit odd that I’ve included a cemetery on my list of the top 10 things to see in the French capital– but I think a visit there would quickly illuminate why it’s made the list. This vast “city of the dead” is a remarkably peaceful and un-creepy place, and is the most-visited public cemetery in the world, attracting some 3.5 million people a year. 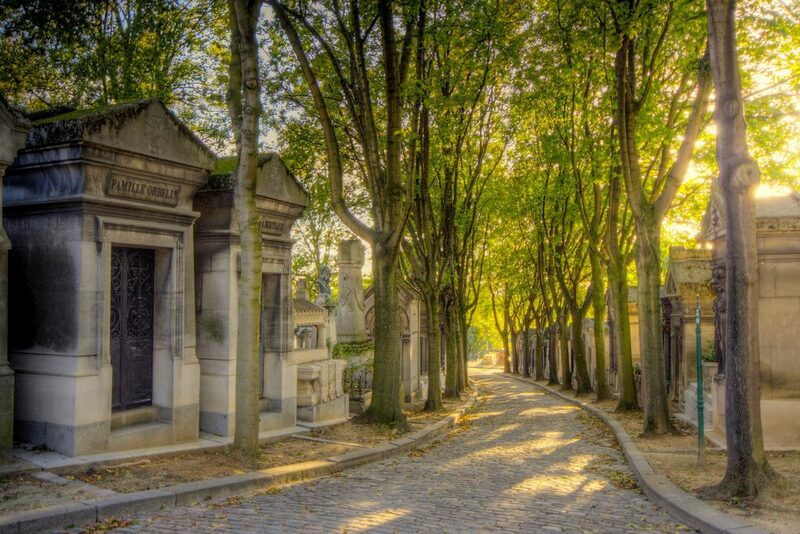 It harbors the tombs of so many famous denizens it’s impossible to count them all– Frederic Chopin, Oscar Wilde, French writers Molière, Colette, Marcel Proust, Honoré de Balzac and Jean de la Fontaine; the Baron Eugène Haussmann who redesigned Paris in the 19th century, and many others. 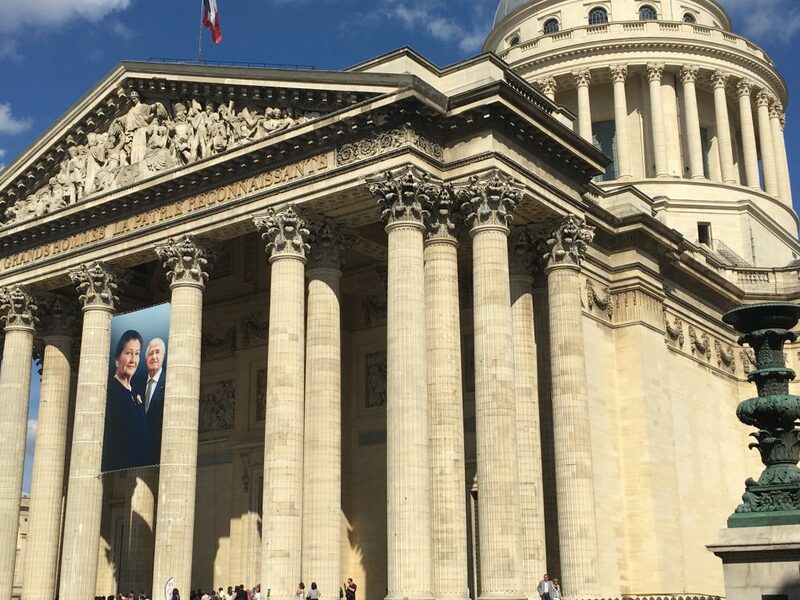 It’s also the site of moving World War I memorials and a section called the Mur des Fedérés, where 147 insurrectionists gunned down during the bloody civil conflict known as the Paris Commune of 1871 are laid to rest. 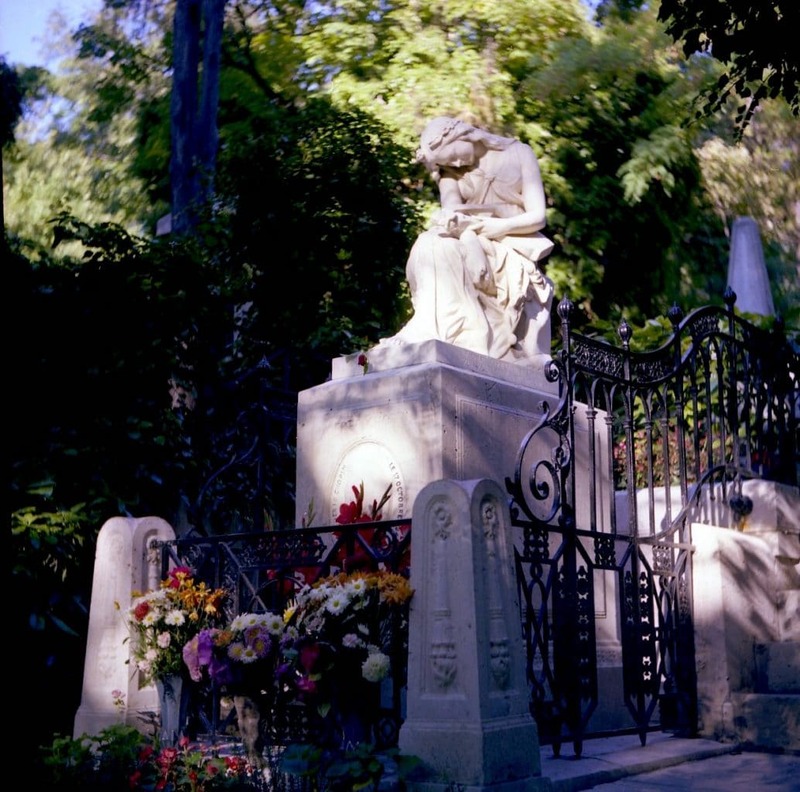 And if you think Jim Morrison is the only famous American laid to rest here, you’re wrong: celebrated writers Richard Wright, Gertrude Stein and her partner Alice B. Toklas and dancer Isabelle Duncan also have their “permanent” homes on the grounds. Père-Lachaise is fairly new: it was opened it 1804 by the Emperor Napoleon, following overcrowding at Montparnasse Cemetery to the south. He opened it with great fanfare, notably by transferring the purported remains of the legendary, star-crossed medieval lovers Héloise and Abélard there. The sprawling grounds evidence the early 19th-century fashion of creating cemeteries with elaborately named “streets” and lanes, using typical city planning techniques. As a result, while it’s easy enough to get lost at this enormous cemetery while in search of a particular hero, at least you have street markers to help orient you. 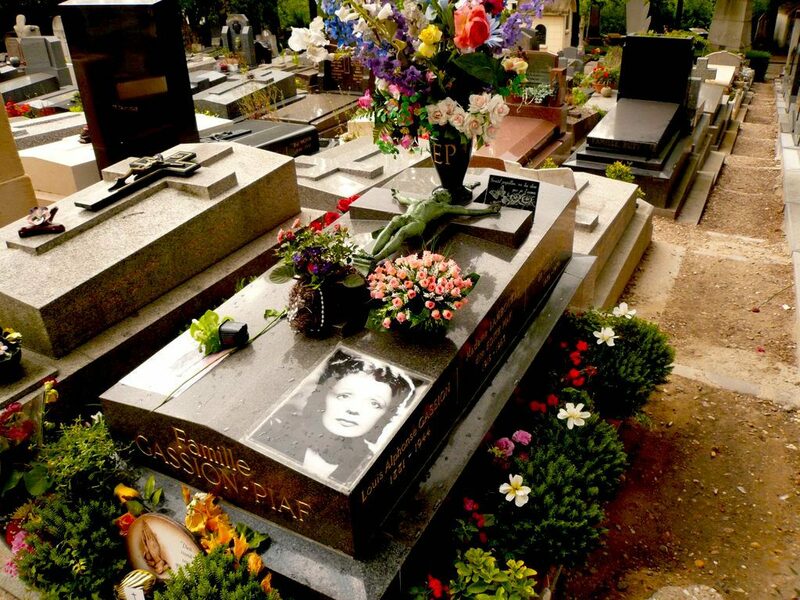 Edith Piaf’s well-loved grave at Pere-Lachaise, bedecked with fresh flowers. 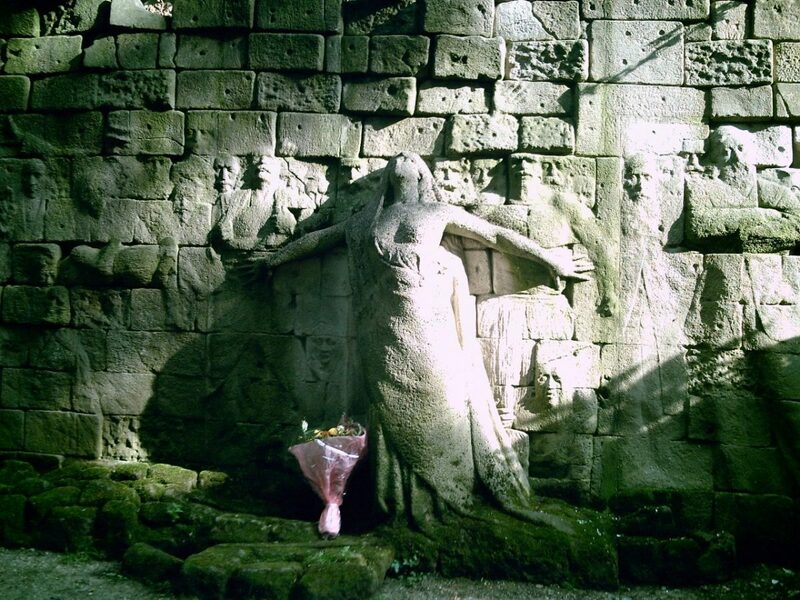 To extend your visit of Père-Lachaise, you might want to explore the surrounding neighborhoods of Belleville and Gambetta/Ménilmontant: traditionally working-class, diverse areas that are full of vibrancy in the present day, and also strongly associated with the iconic French singer-songwriter Edith Piaf. 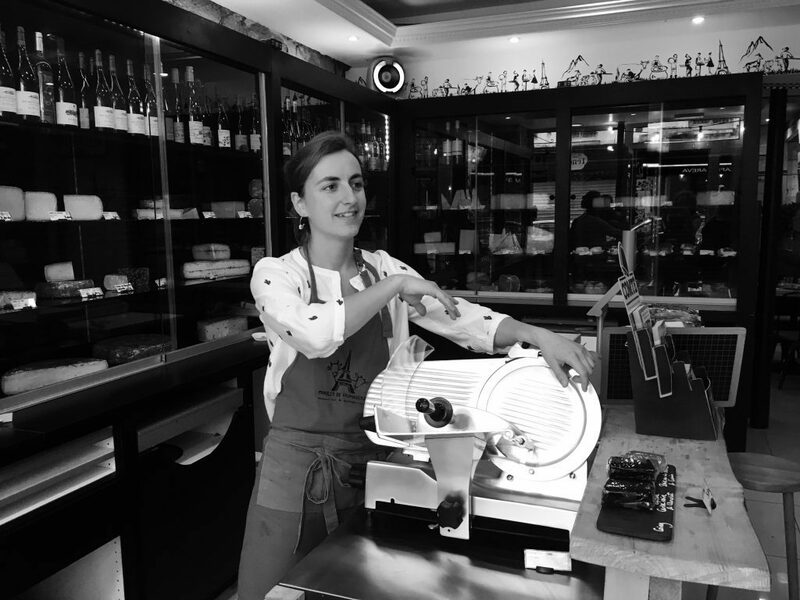 Read my complete guide to Piaf’s Paris for tips on what to see and do in the area. Also nearby the cemetery, and one of the most innovative new cultural spaces in the city, is the Atelier des Lumières, where immersive digital exhibits plunge visitors into a multisensory experience that has to be witnessed to be fully appreciated. Sometimes, you just need to get out of the city center to enjoy some fresh air and contemplation. 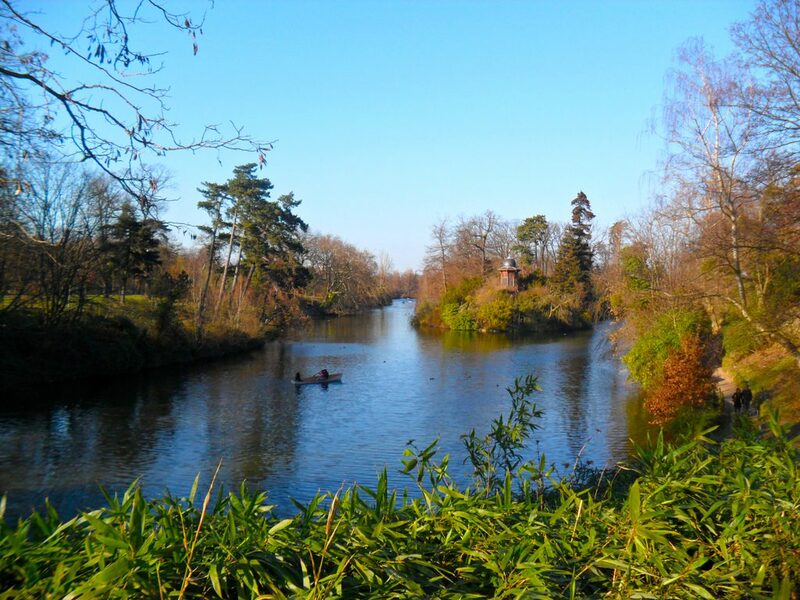 When that’s the case, the Bois de Boulogne makes an ideal choice for a (very) short day trip from Paris. In fact, it’s right outside the western city limits, and is easily accessible by metro (take line 1 to Les Sablons or Line 10 to Porte d’Auteuil). Originally built as royal hunting grounds by French monarchs, the now-public “wood” spans an incredible 2,100 acres: over three square miles of old-growth trees, lush lawns, pretty man-made ponds teeming with aquatic birds and navigable by boat, artificial waterfalls and streams, a summer outdoor theatre showing plays by William Shakespeare and others, and several gourmet restaurants, including the 3-Michelin starred Le Pré Catalan. Boasting hundreds of species of trees, plants and wildlife, the park is twice as large as Central Park in New York City. Read more about how to make the most of it by clicking the link just below. 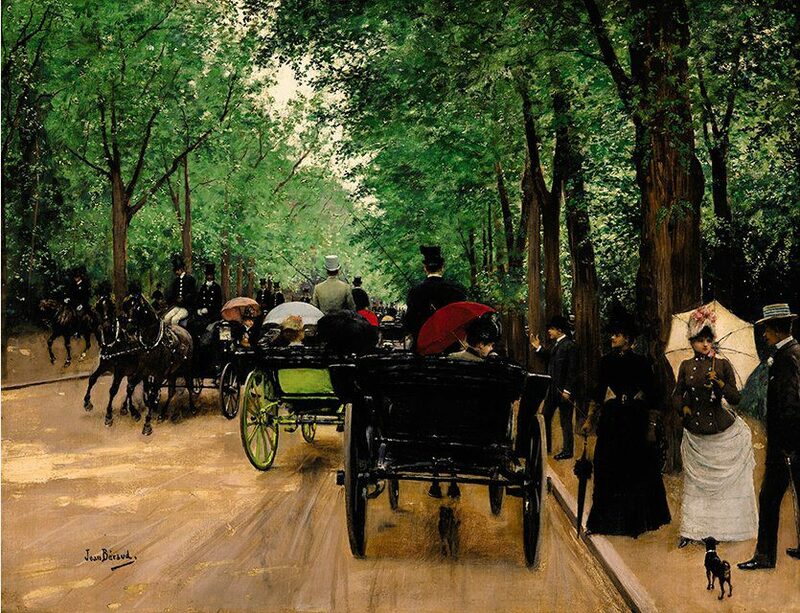 Jean Béraud, “Bois de Boulogne”. Public domain. I recommend going on a clear and relatively warm day and choosing a main activity: strolls through the Bois’ many gentle wooded paths; a lazy picnic on the lawns or on a rented boat; a visit to the Fondation Louis Vuitton, one of the best new places in the city for contemporary art shows; and/or a decadent meal at one of the nearby tables. For smaller budgets, there are plenty of onsite cafes where you can enjoy hot and cold drinks, sandwiches, snacks and ice cream. 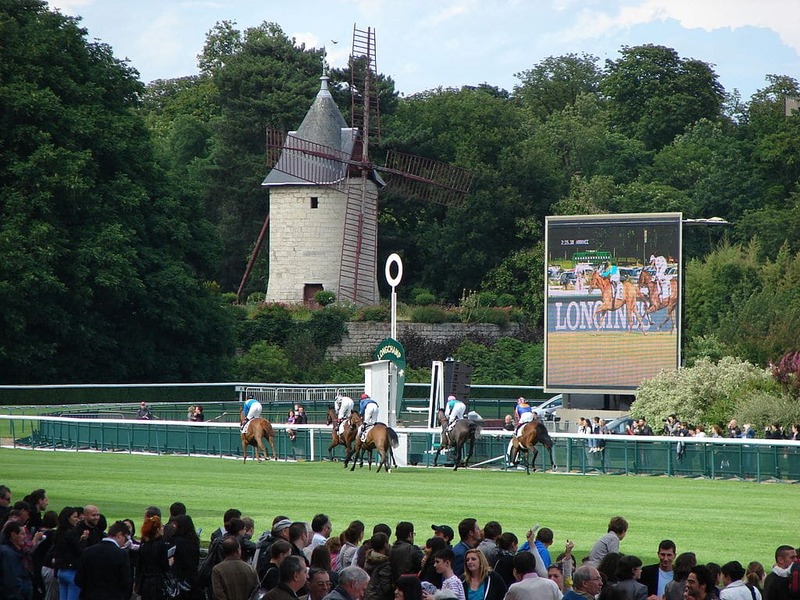 The Bois de Boulogne is also home to the Hippodrome de Longchamp, where old-world horseracing tracks offer a form of weekend entertainment that feels decidedly quaint. I didn’t expect for it to be “my thing”, but I ended up enjoying a lazy afternoon of watching the horses race around the track. It’s certainly not for everyone, but if you’re looking for something different to do at the city limits, this is an idea to consider. Rumor has it that women wearing flamboyant traditional racing hats get in for free, but I haven’t confirmed it. The Bois de Boulogne isn’t always safe after dark. It’s been associated (at night) with prostitution rings and drugs for some time now, so even though it’s a lovely place during the day, it’s probably best to just stay away starting at around twilight. I also advise women and young children not to embark on walks through the park alone. Parisian buildings & landmarks as seen from the top of the Centre Pompidou– another essential spot on a first trip. Looking for some additional advice on planning your debut trip to the capital? If so, read my complete guide to each season in the capital– in which I conclude that there really isn’t a “best time” to visit Paris. Also make sure to see my monthly guides to Paris, chock full of tips on how to pack, what to see and do each month, and my personal musings on what makes every month enticing, even in low season. Last but certainly not least, it’s always a good idea to reserve some of your budget for a high-quality guided tour. First-timers can benefit enormously from the experience, helping you to get oriented. These days, there are lots of companies out there excellent and culturally enriching experiences. The Paris Guy offers a great range of group tours in Paris led by knowledgeable and friendly guides. From skip-the-line tours of the Louvre to foodie adventures and entertaining trawls through the Paris Catacombs, their adventures all come with strong reviews from fellow travellers. Browse their current tours here, and make sure to enter the promocode PARISUNLOCKED when you check out to get 5% off the listed price of any tour. 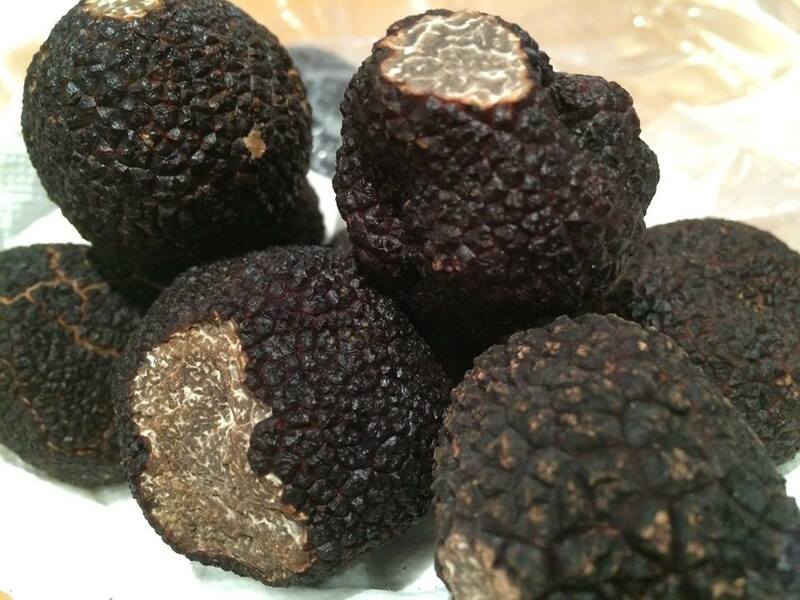 I have also experienced– and highly recommend– tours from Eating Europe, Context Travel and Discover Paris. Their tours are intellectually stimulating, enjoyable and enriching. Finally, Girl’s Guide to Paris offers tours tailored exclusively for women, travelling solo or in small groups. 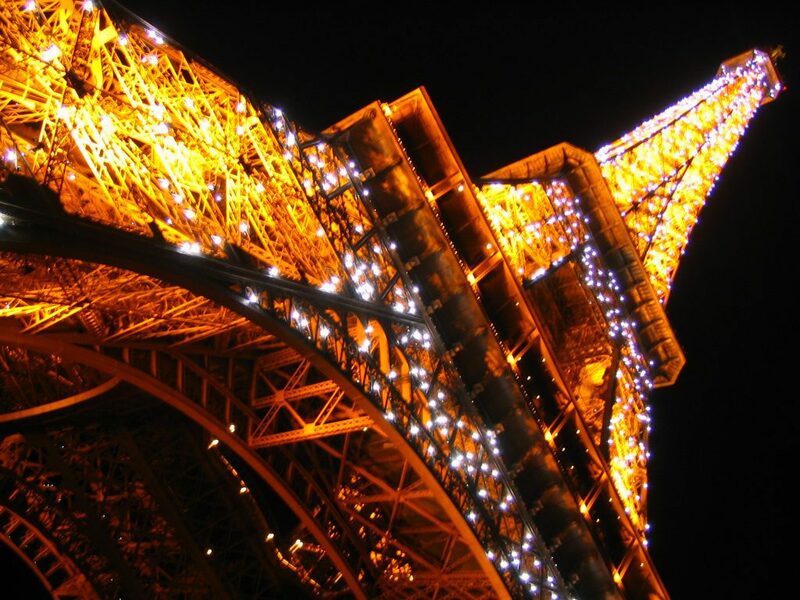 Book a tour with GG2P and mention “Paris Unlocked” to receive a special gift. Note from the editor: This post contains some affiliate links. If you book products or services through these, it comes at no cost to you– but does help to fund even more free and in-depth content like this feature. Thank you. Your suggestions keep isolating visitors to the Paris tourist ghettos Is that really the one choice in 2019? Do freshen up! Thanks for chiming in here. This article willfully covers some “iconic” sights, with the aim of showing that there are neglected details and histories to look out for even in places that feel cliched. If you look carefully I recommend exploring places like Belleville, hardly on most tourists’ radars. The Bois de Boulogne and the Hippodrome also tend to get overlooked.